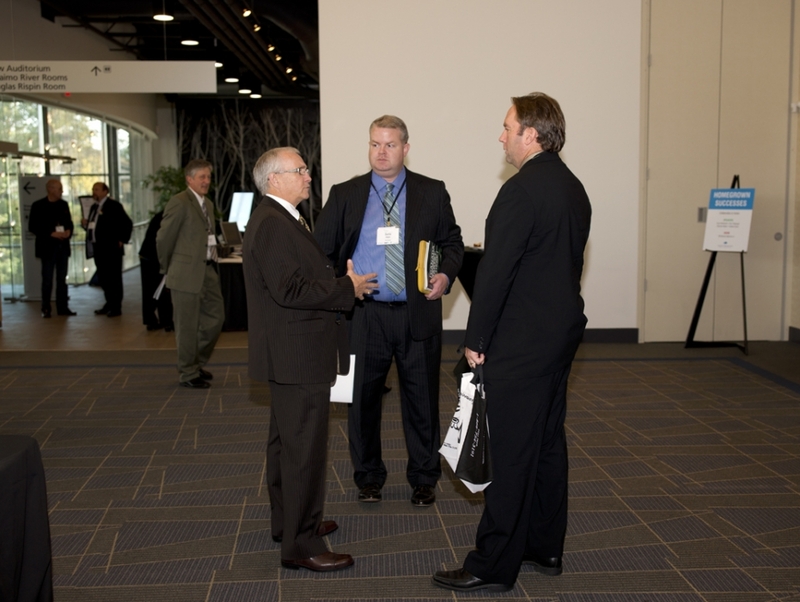 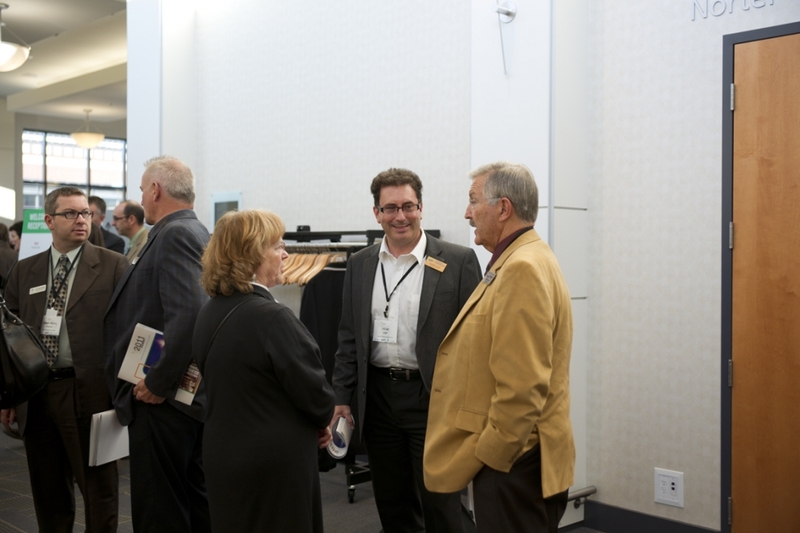 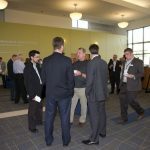 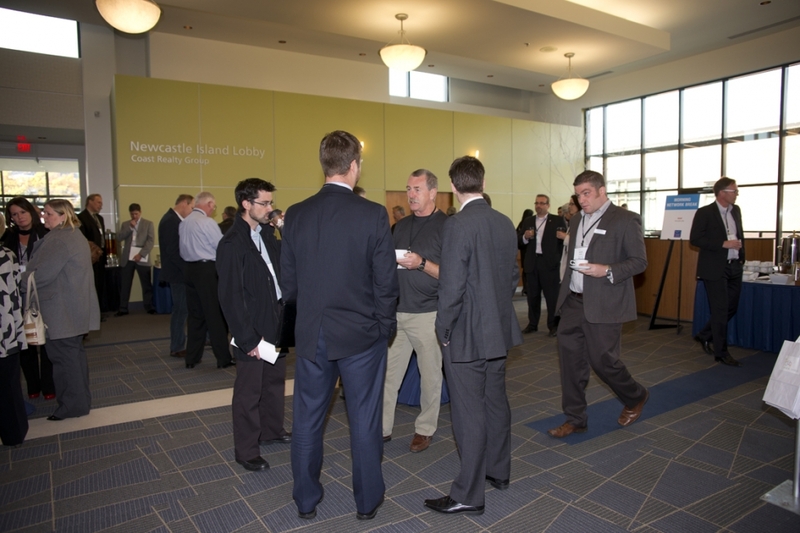 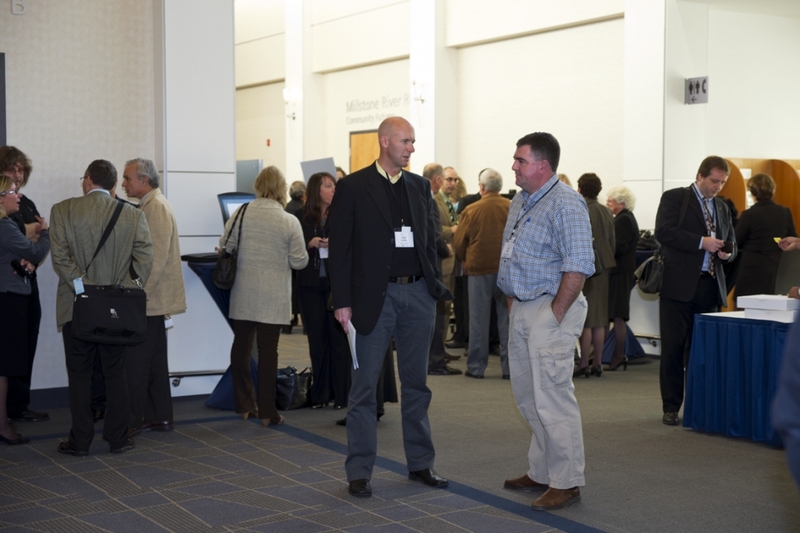 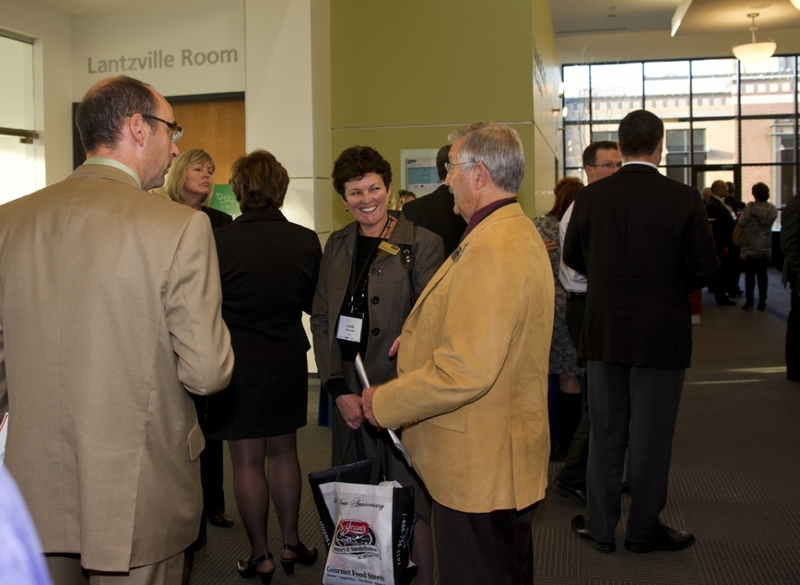 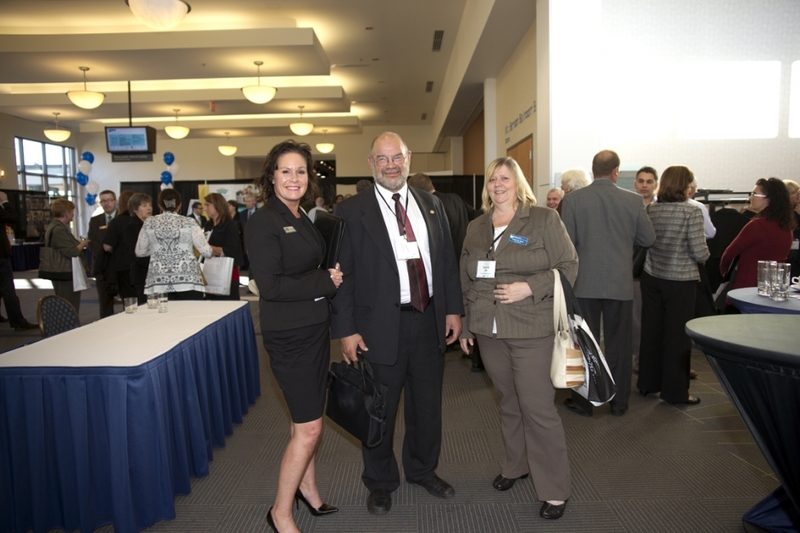 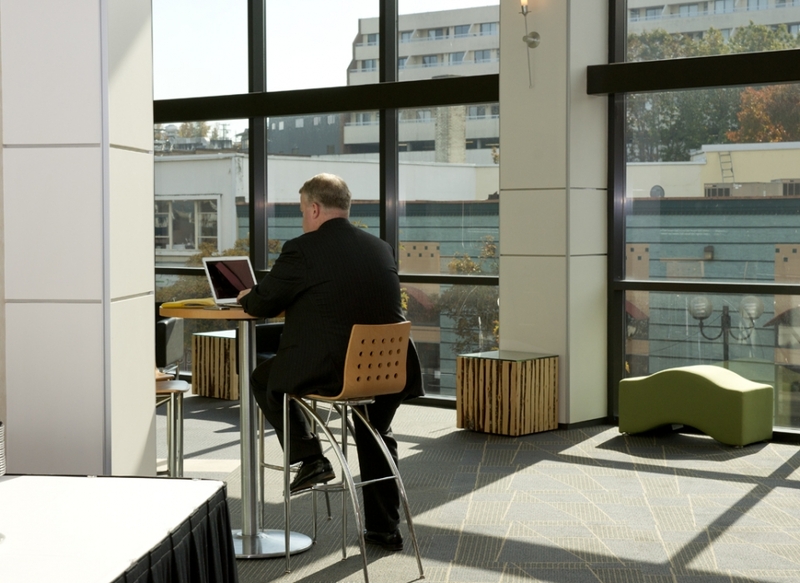 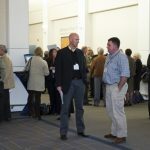 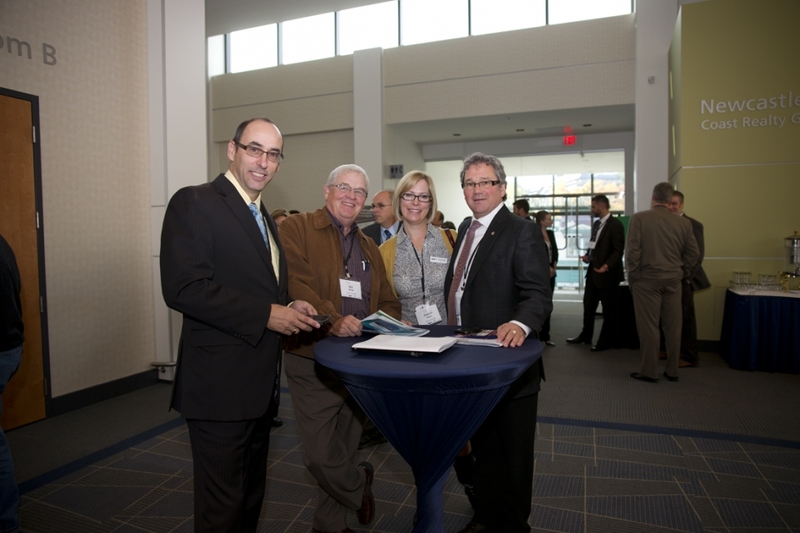 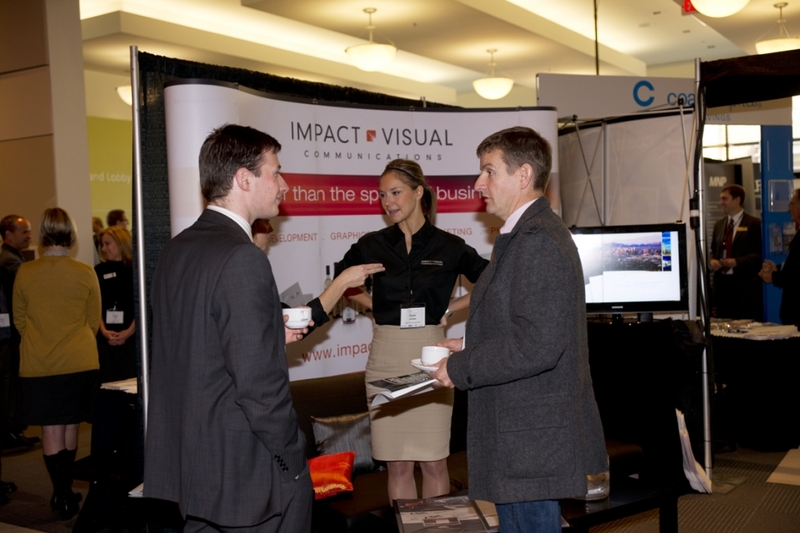 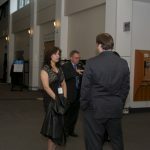 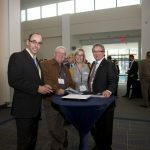 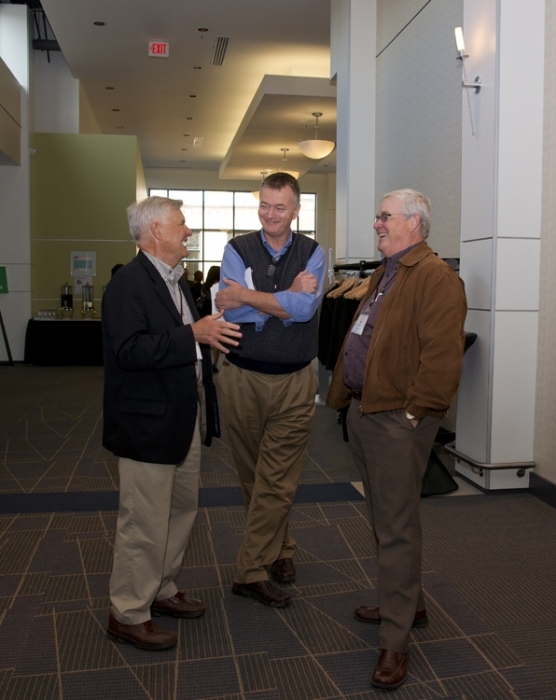 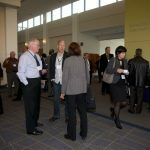 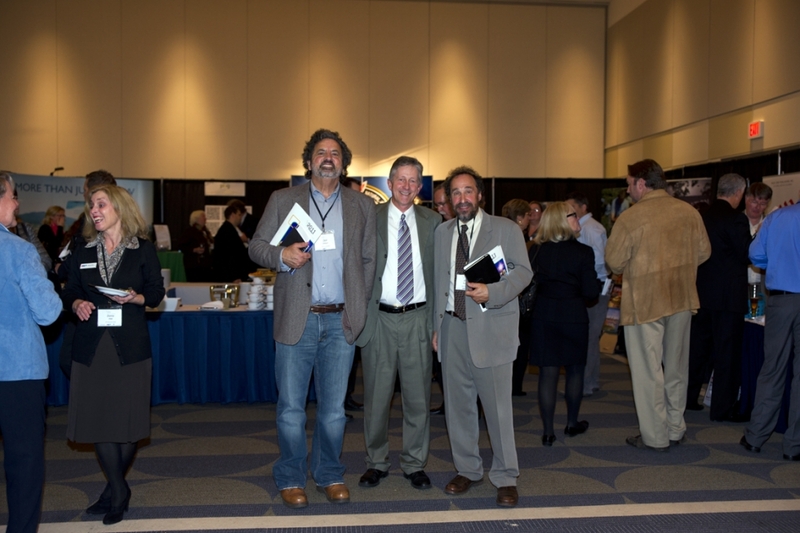 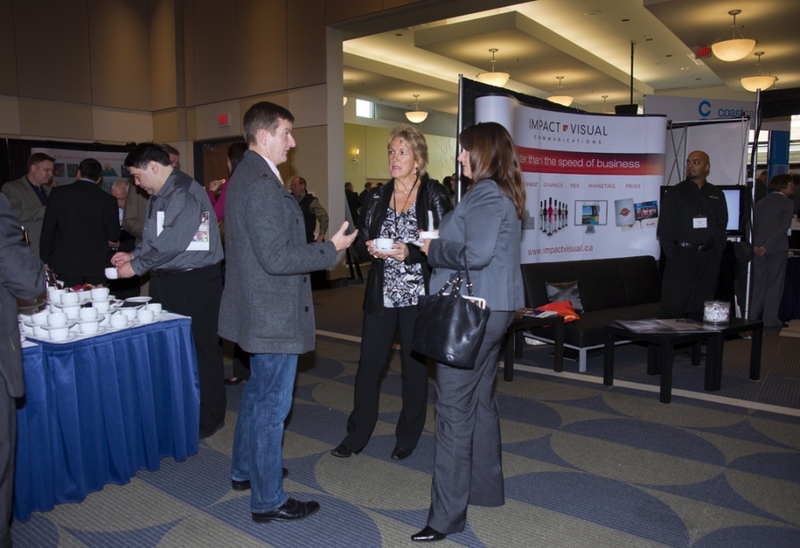 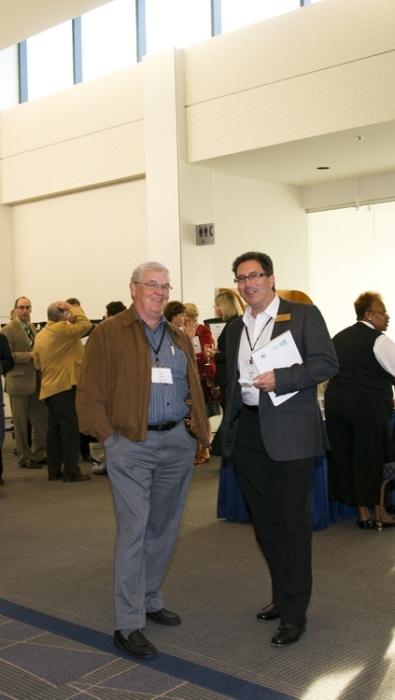 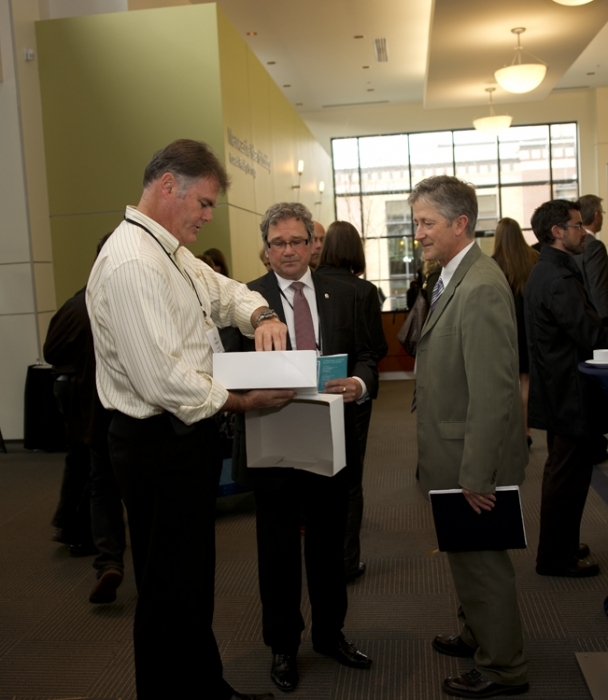 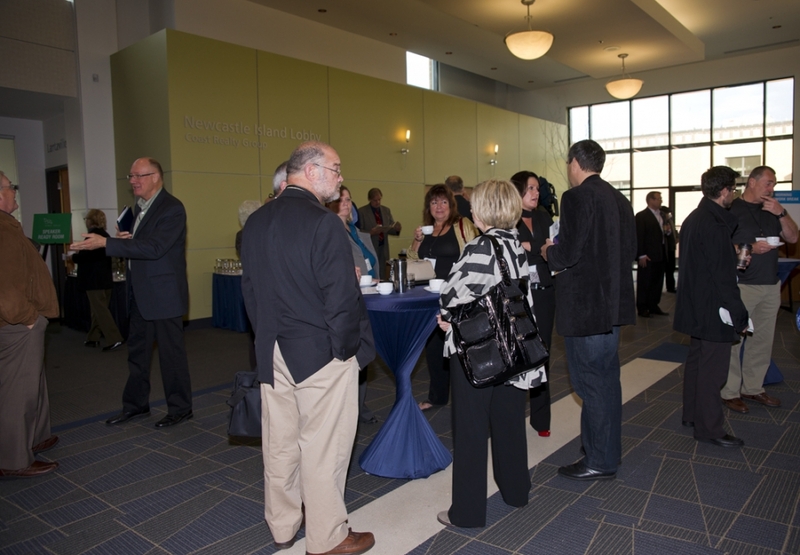 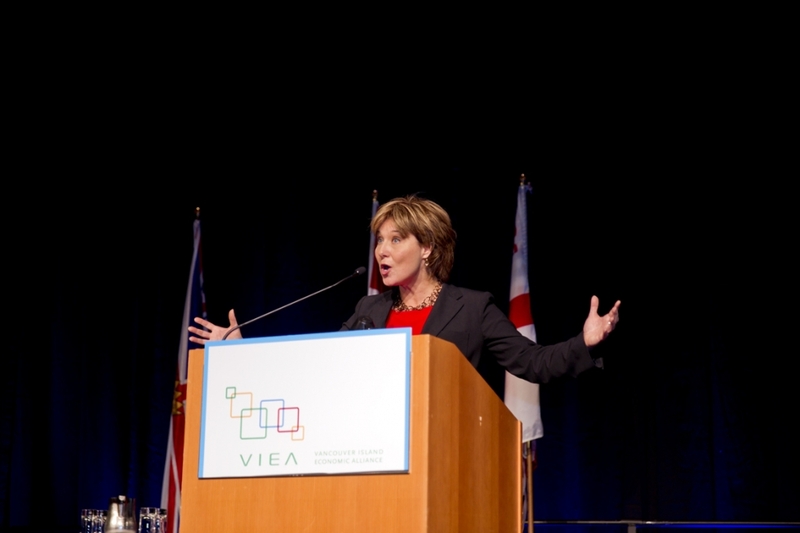 At VIEA, we believe that “it’s all about the company you keep” and that the strongest ideas emerge from collaboration. 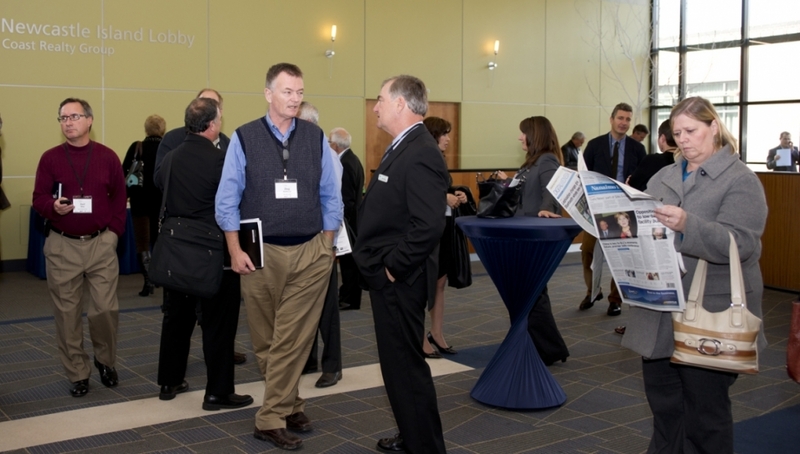 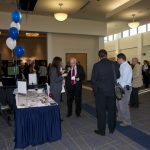 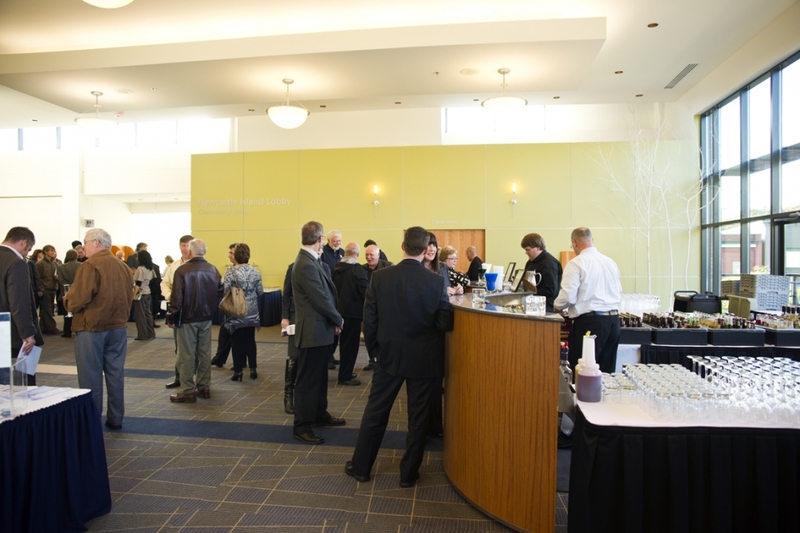 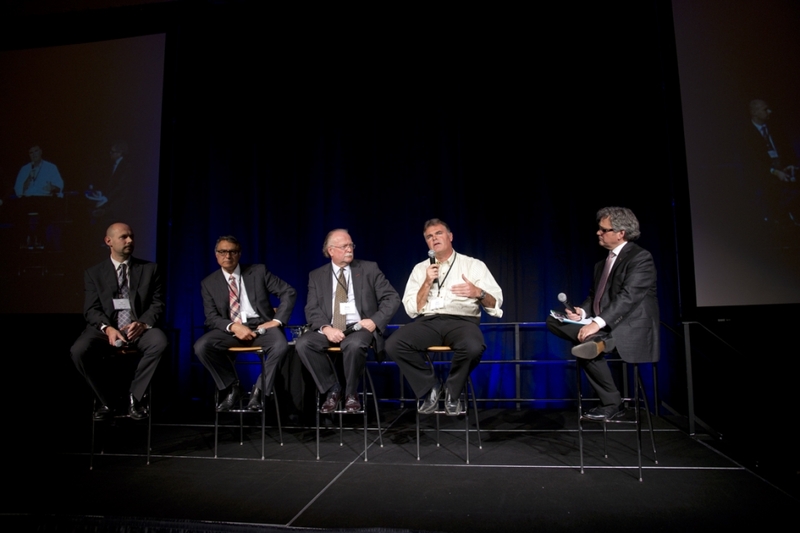 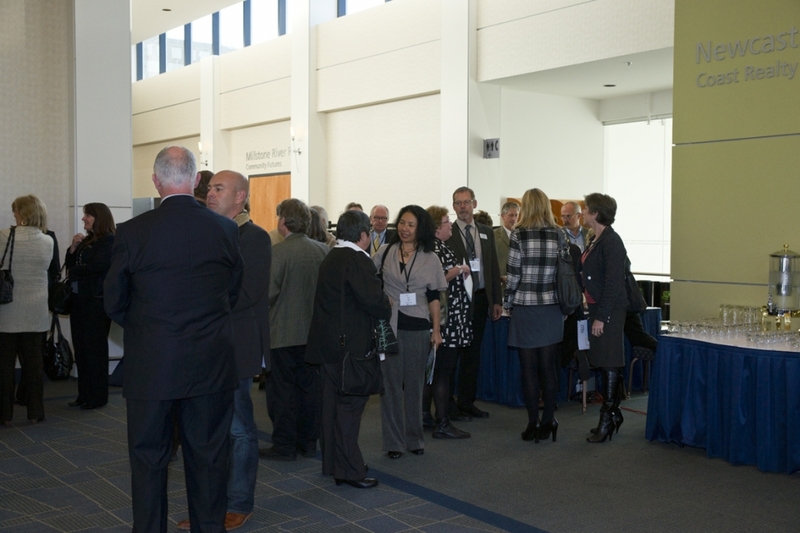 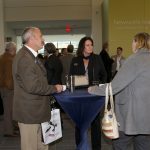 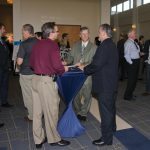 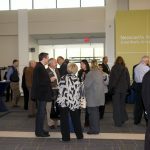 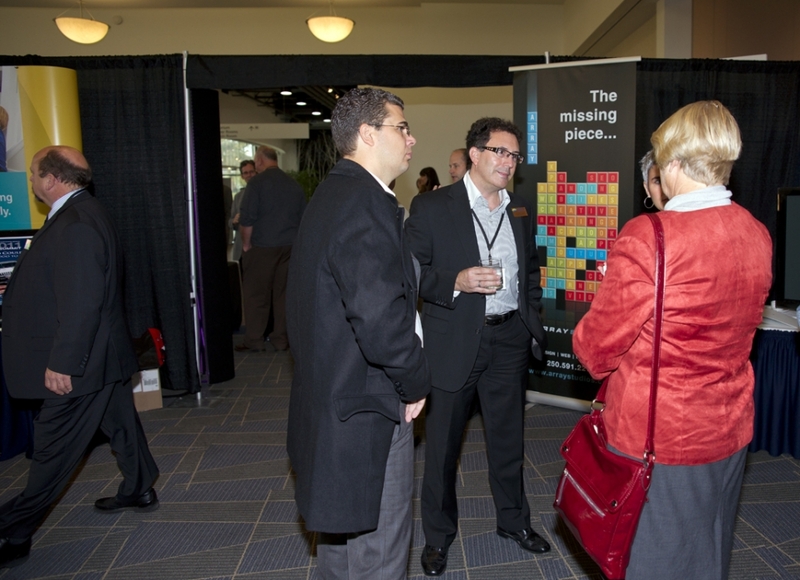 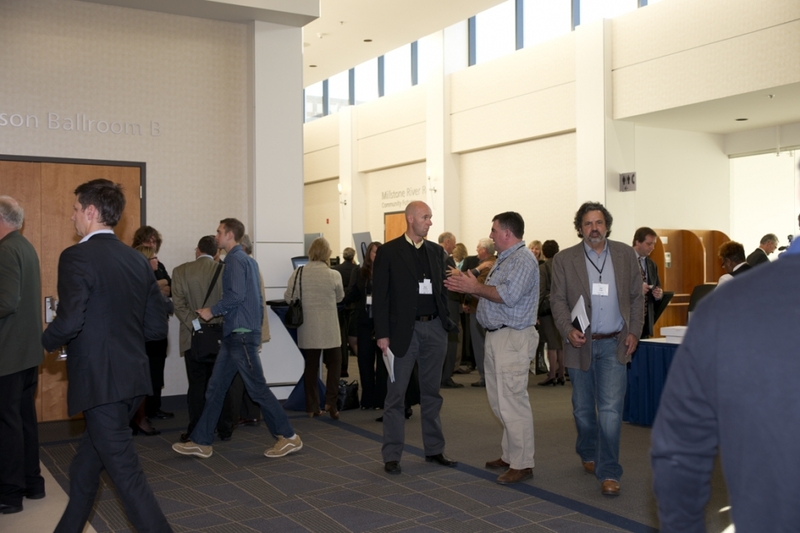 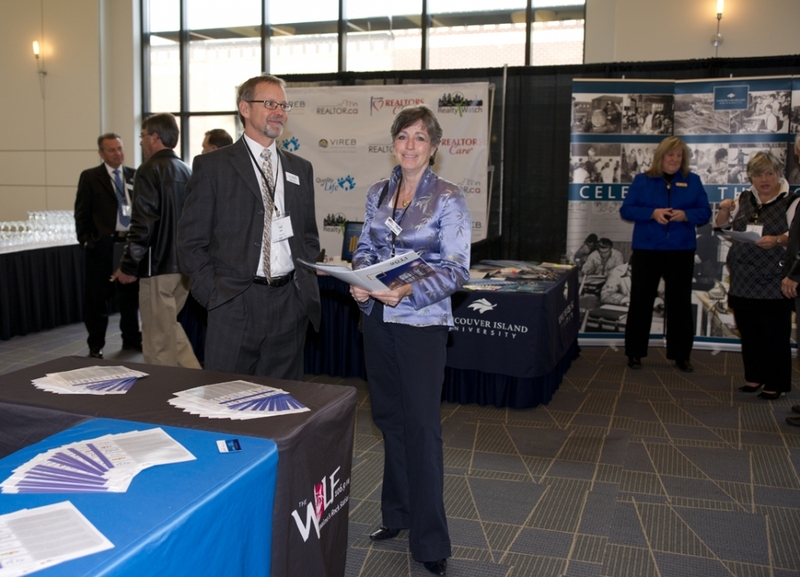 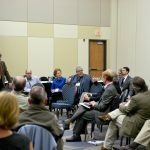 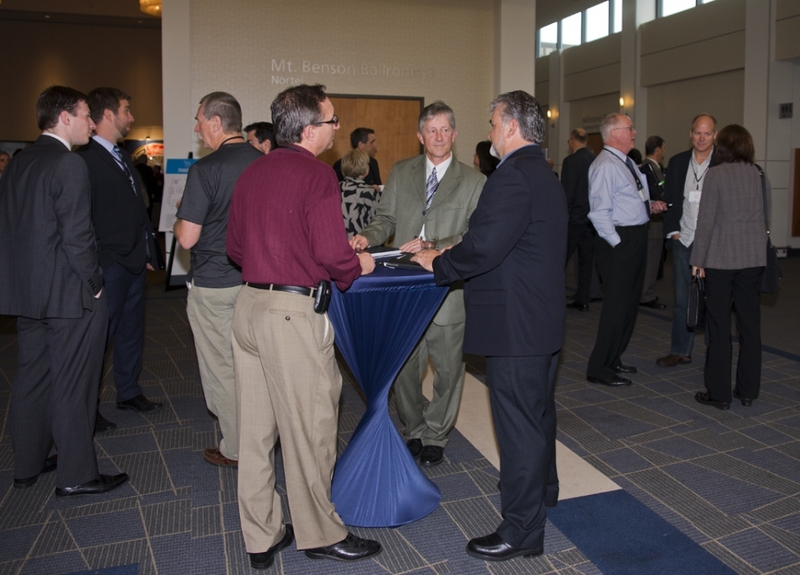 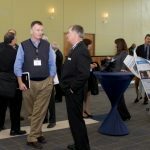 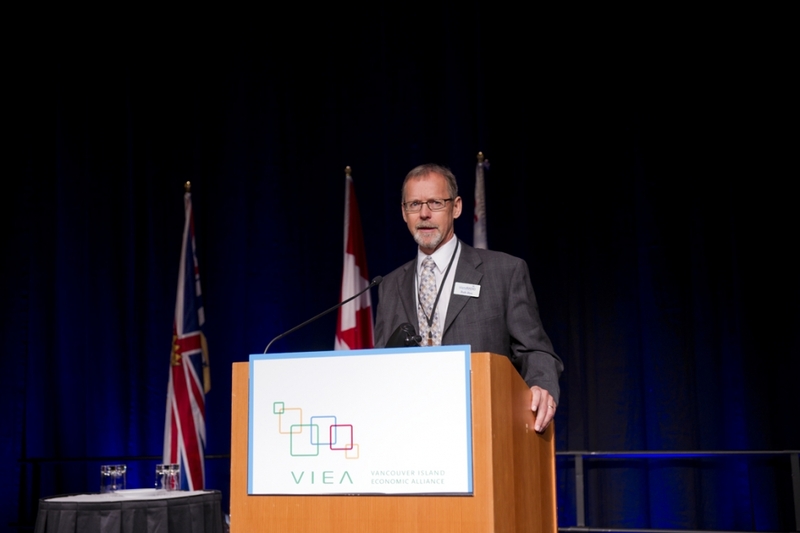 Over a relatively brief seven-year history, VIEA has undertaken a number of important projects as a direct result of networking and conversations amongst stakeholders especially at our Summit events. 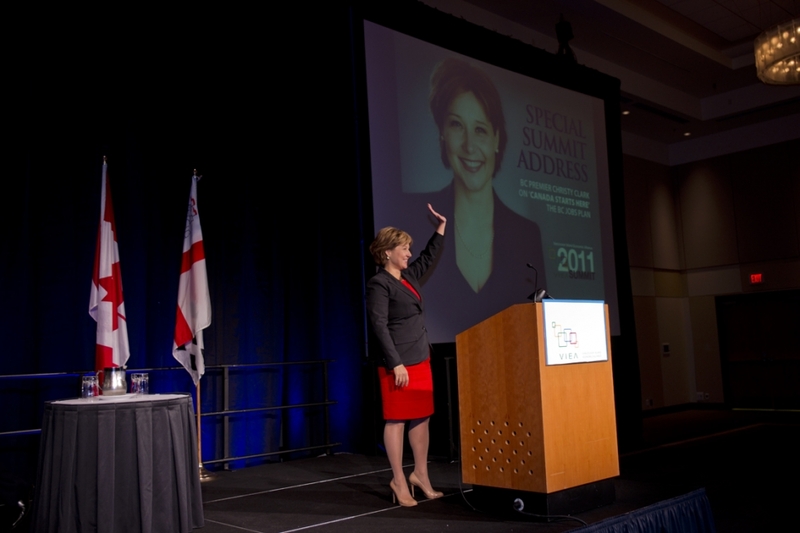 One of the first was a comprehensive study on the economy of Vancouver Island and the Central and Sunshine Coasts. 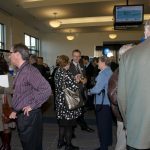 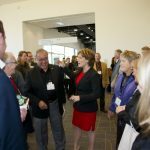 Completed in 2009, it identified some specific challenges to the Island economy: from a skills and labour shortage, to critical issues in transportation, innovation, land use, health and education. 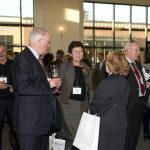 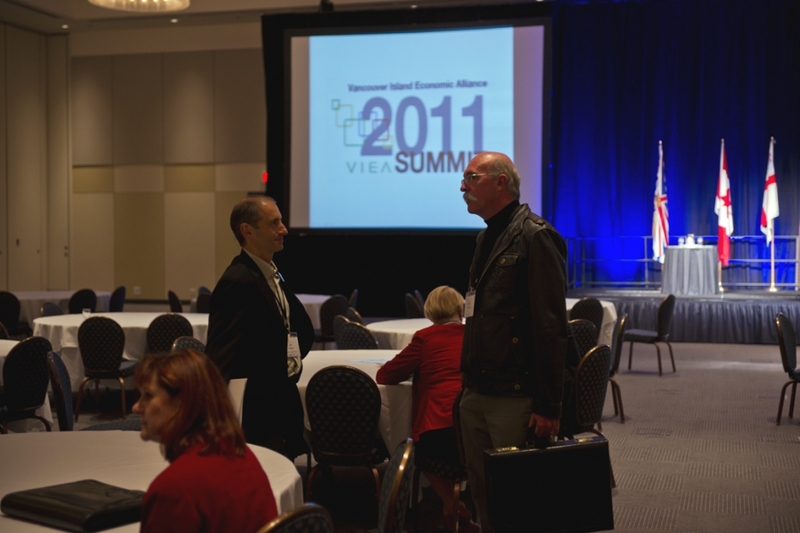 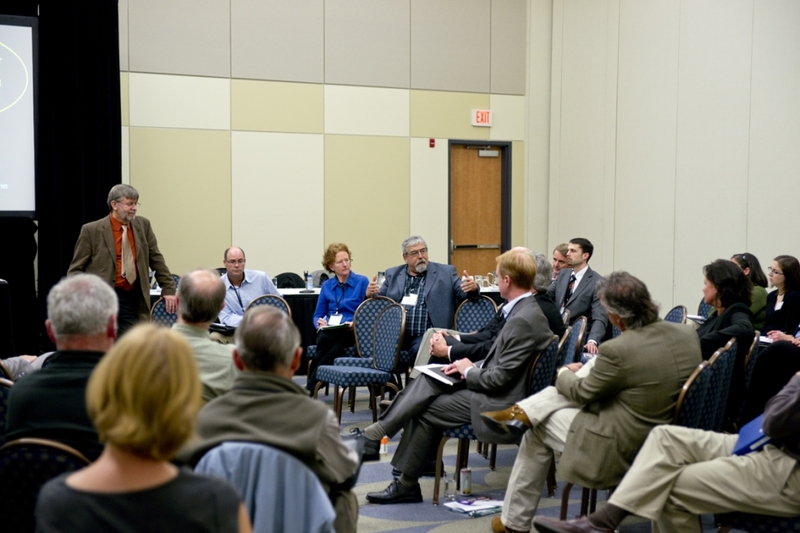 While these underlying issues have emerged time and again, the collective conversation of VIEA members and associates has evolved to reflect new economic realities over the years and as challenges and opportunities presented themselves, these discussions have guided VIEA board priorities and the development of annual Economic Summits. 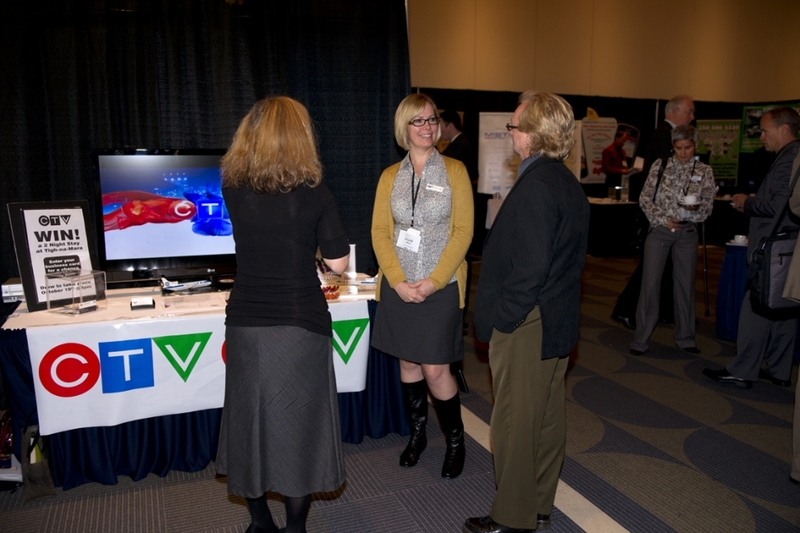 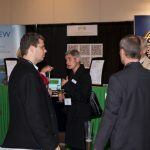 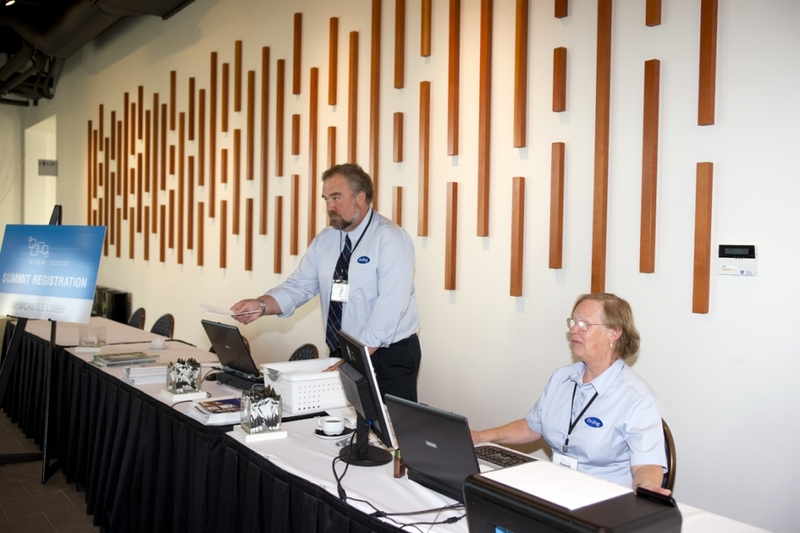 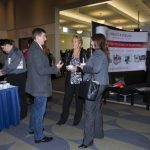 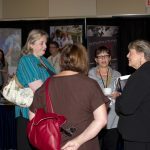 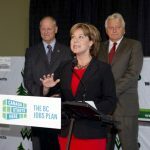 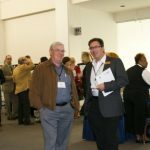 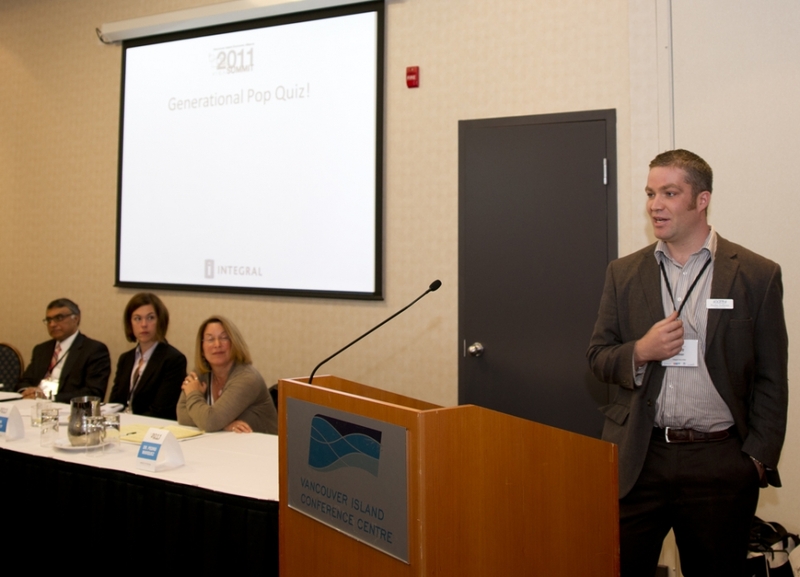 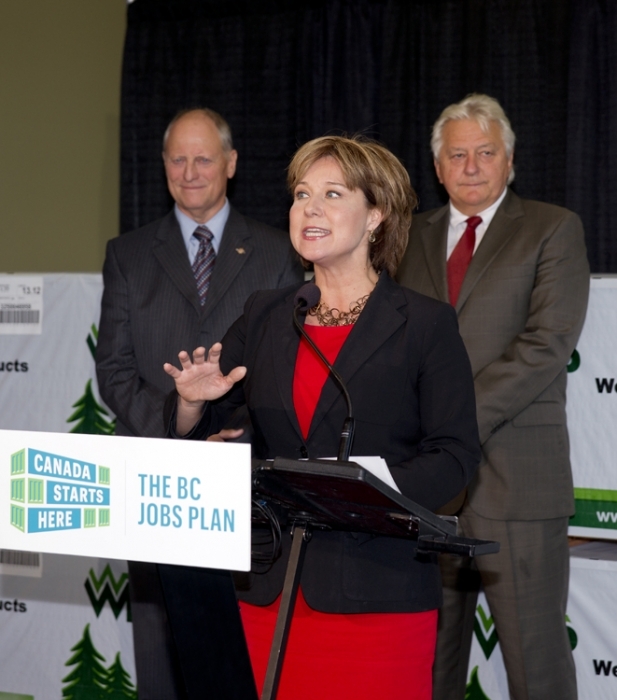 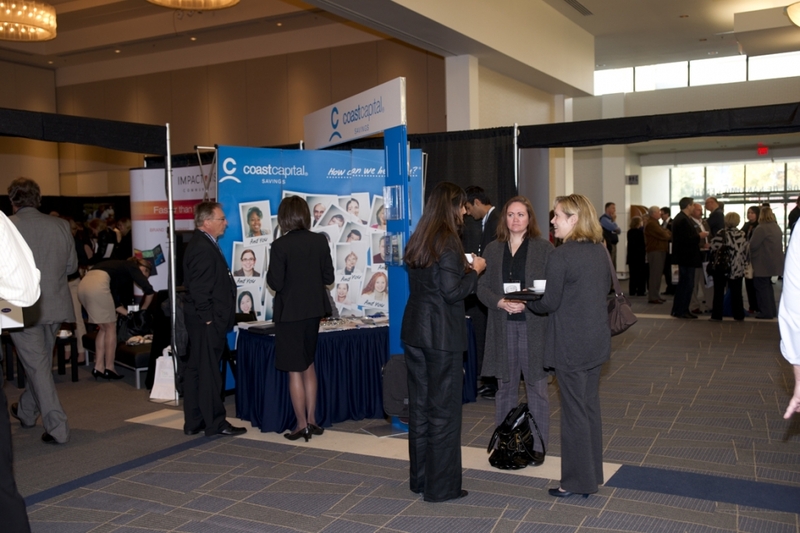 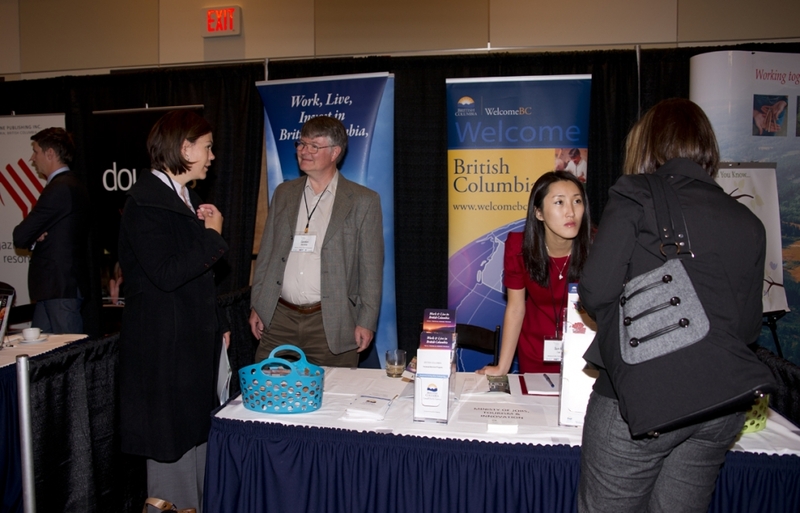 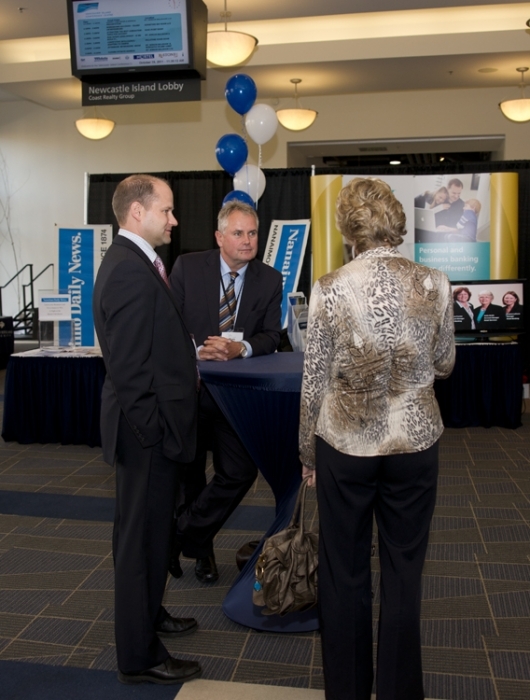 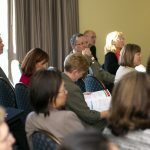 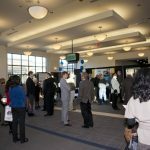 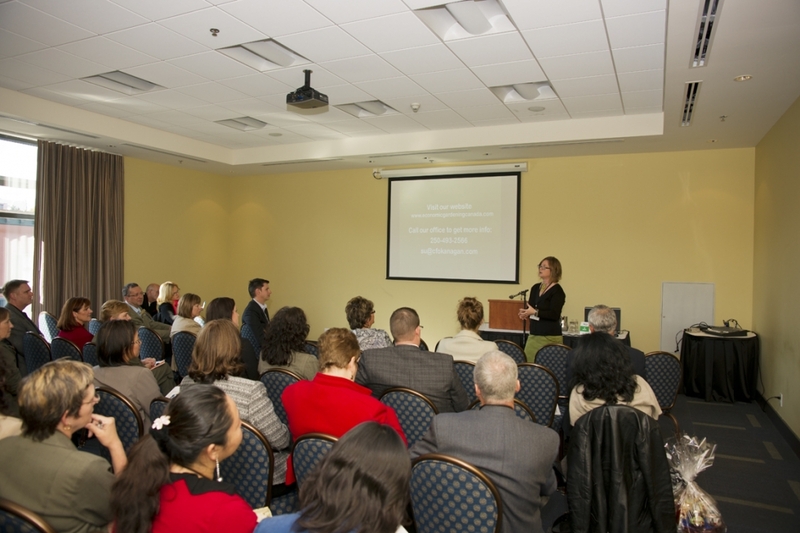 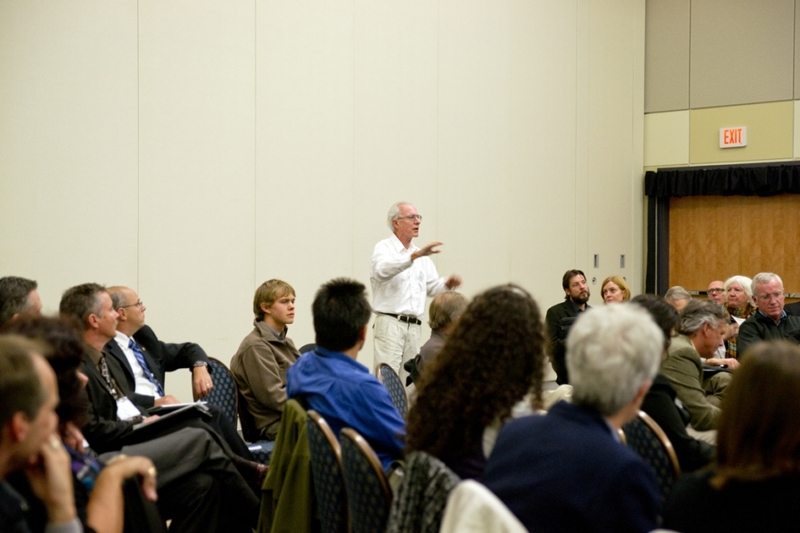 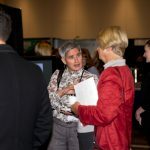 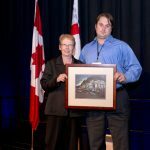 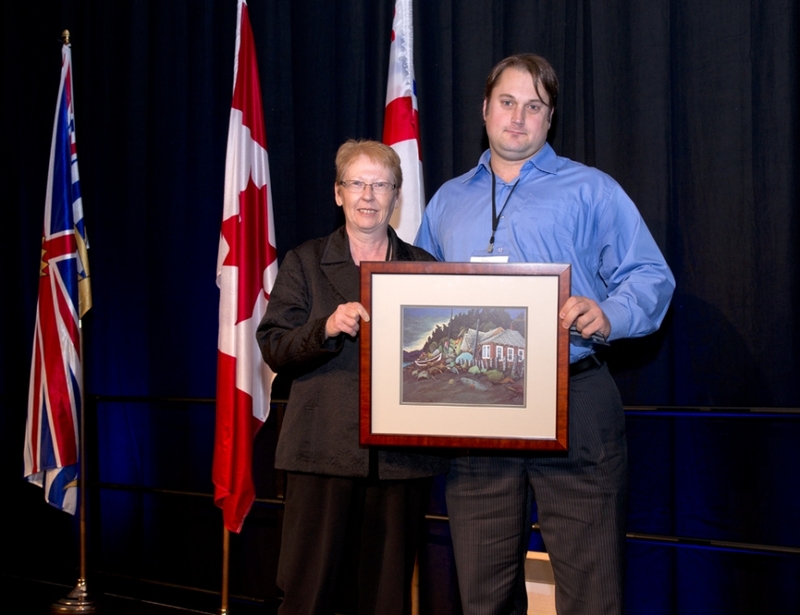 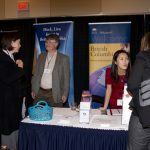 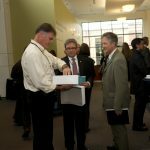 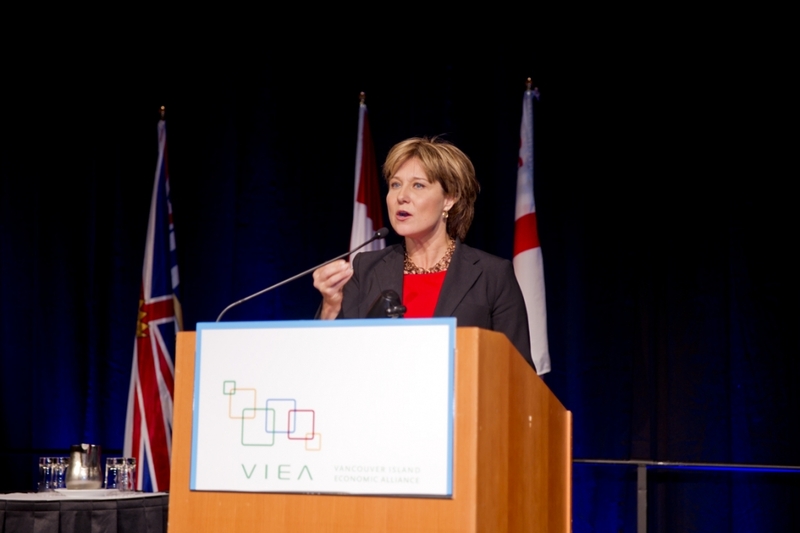 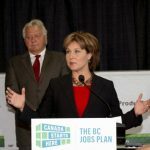 VIEA conducted a “Gray Skills” pilot project in the Victoria area in 2009 that introduced employers to the benefits of hiring mature workers, and encouraged collaboration between business and employment agencies to address skill shortages and retention issues. 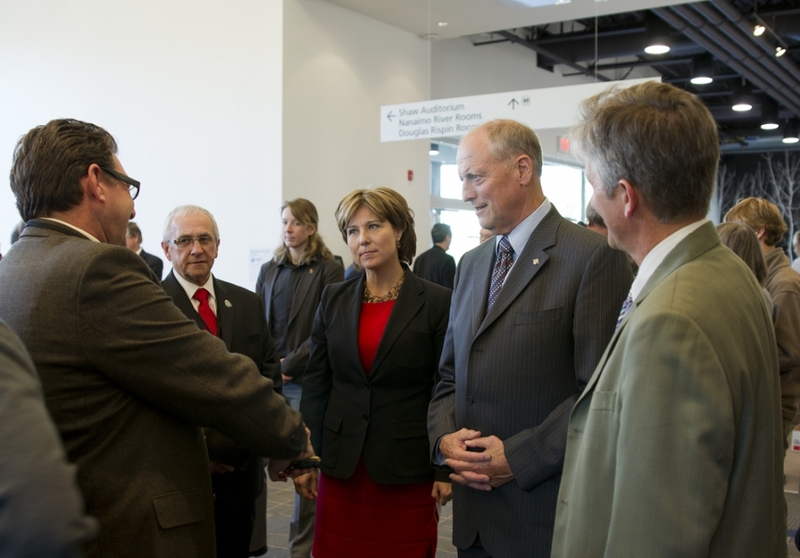 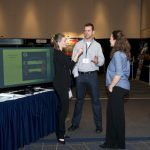 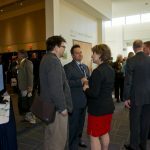 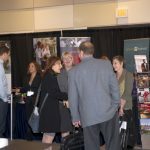 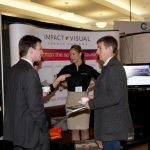 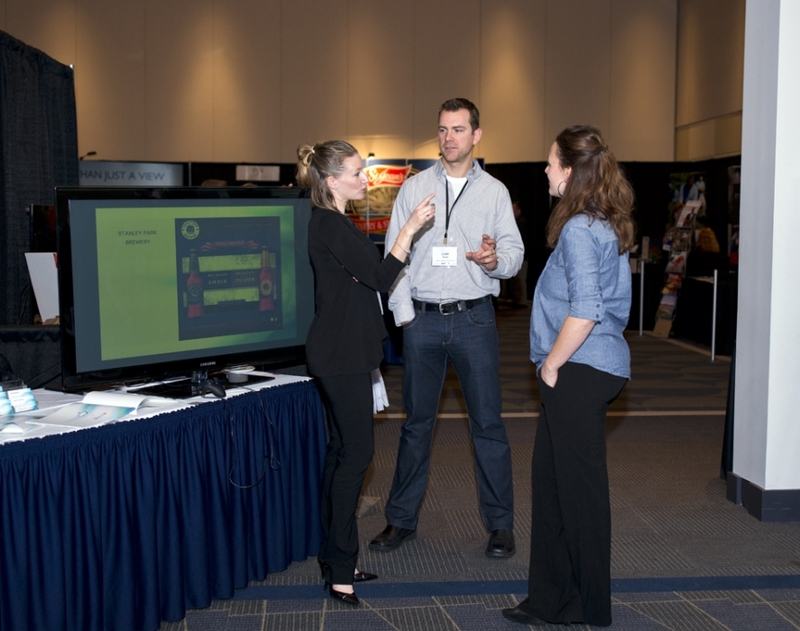 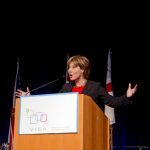 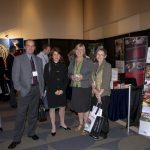 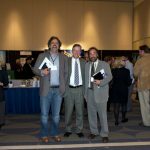 That same year VIEA partnered with Tourism Vancouver Island on an investment and workforce attraction video, and in 2010 developed the pivotal “Link Project” that focused on the role of regional collaboration in strategic economic development. 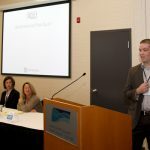 treaty settlements and reconciliation, the social and economic landscape will continue to experience significant change from one end of the Island to the other. 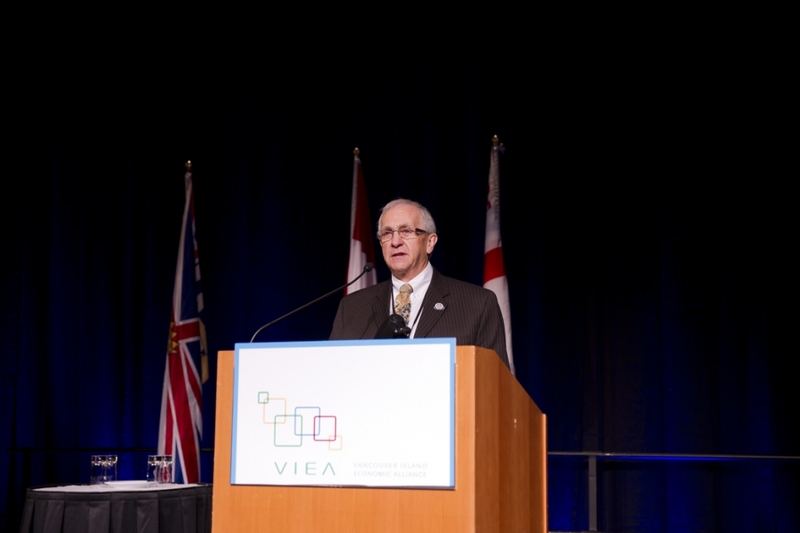 VIEA sees that it is critically important for relationships to develop so that partnerships can be explored to everyone’s advantage. 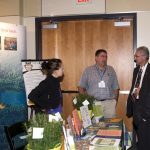 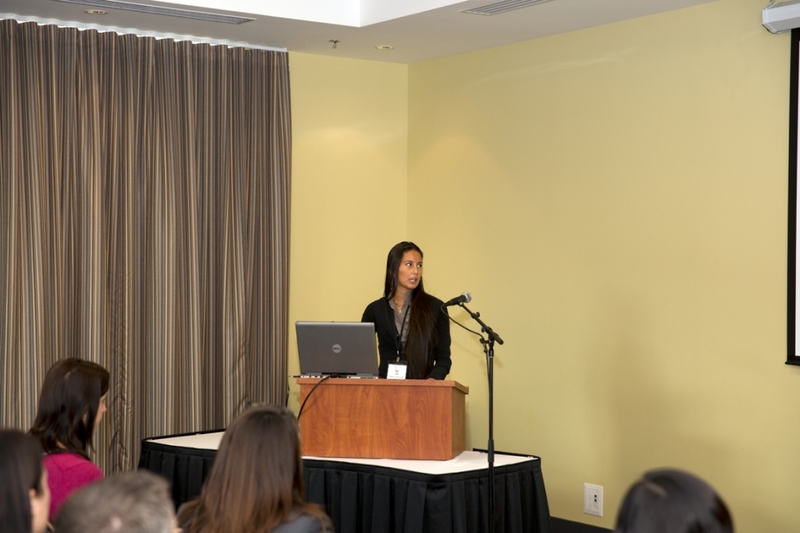 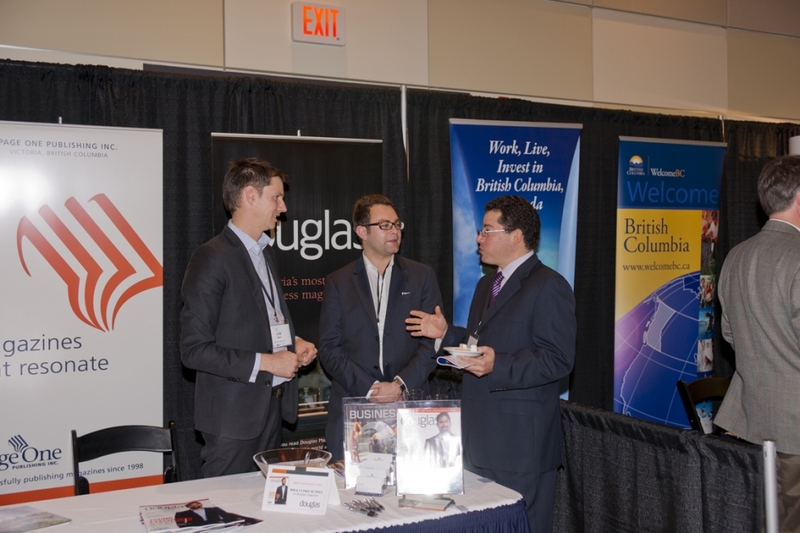 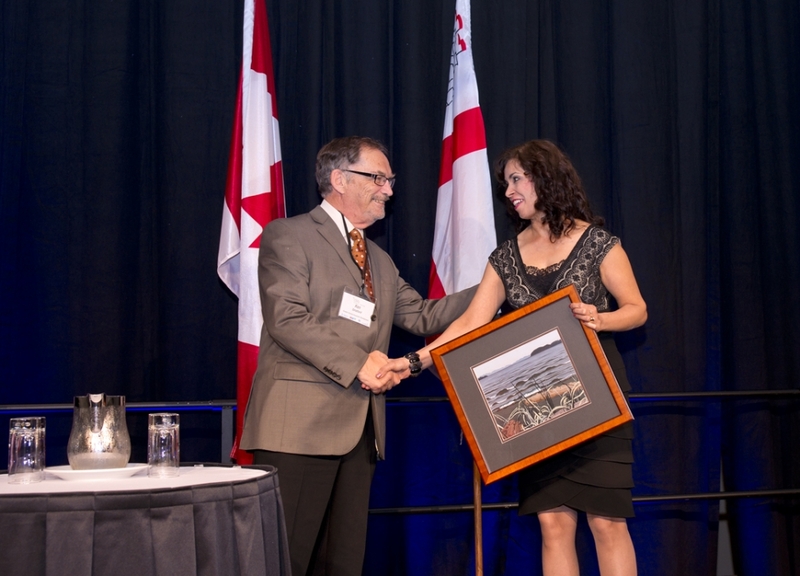 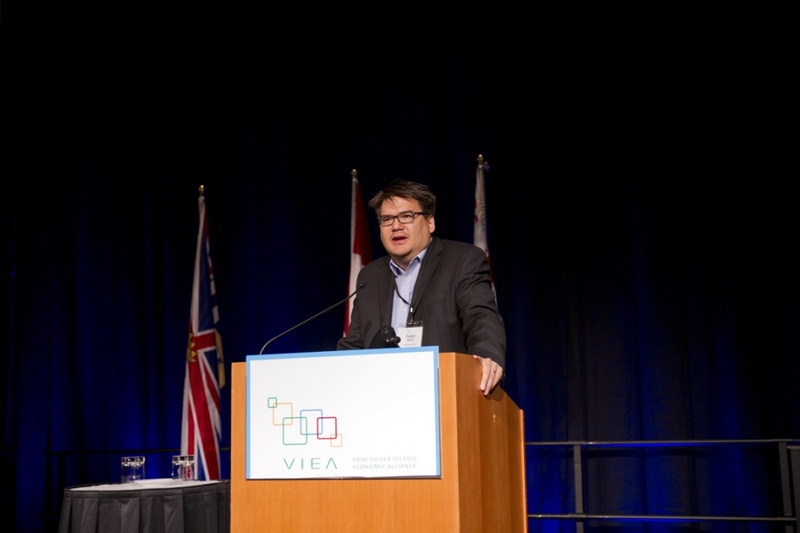 VIEA is hoping to work with the 53 First Nations on the Island, along with the Tribal Councilsand Economic Development organizations serving them, to identify and help communicate economic opportunities to the broader marketplace. 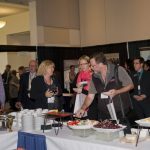 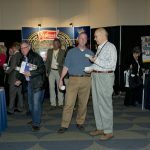 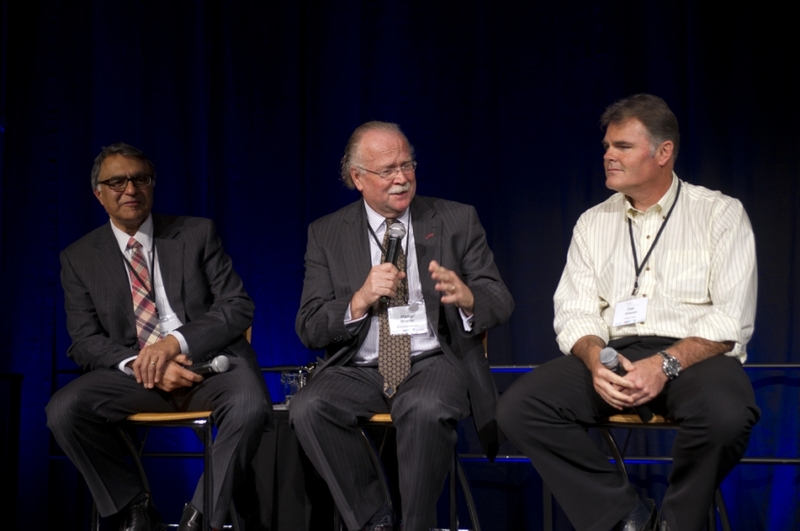 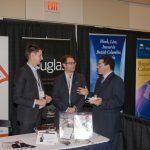 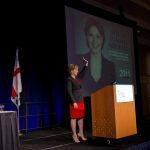 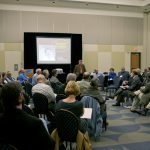 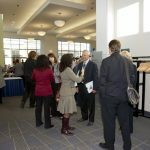 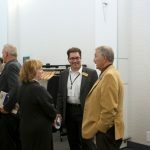 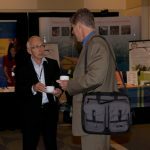 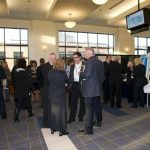 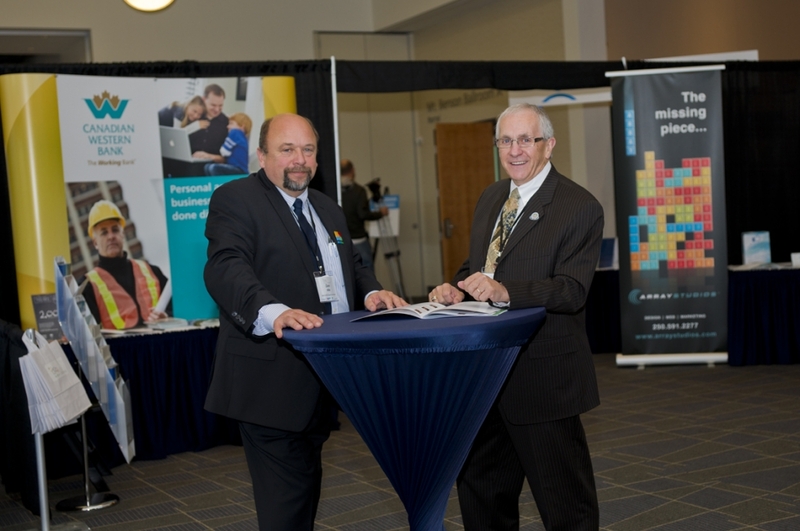 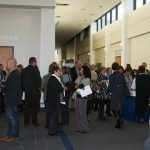 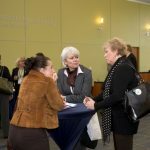 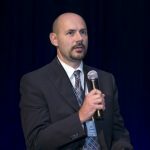 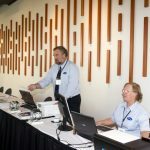 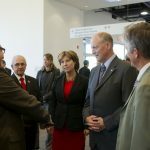 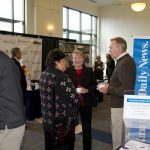 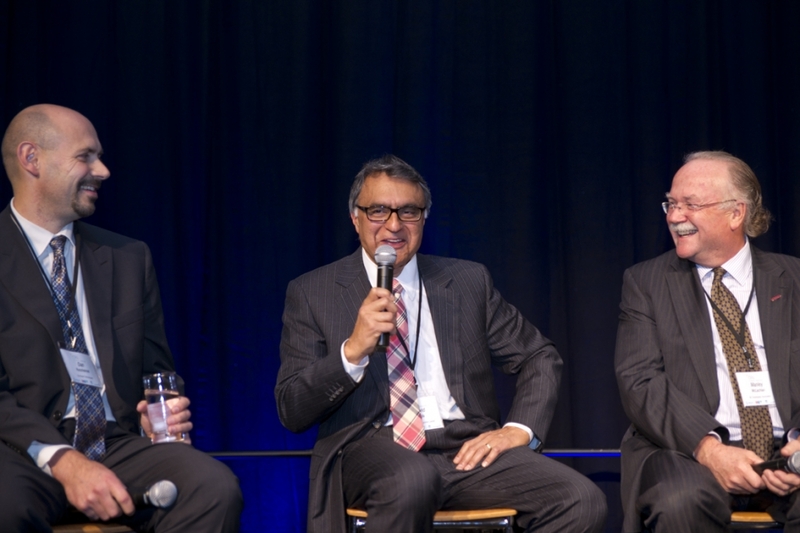 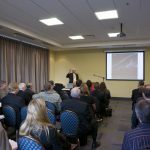 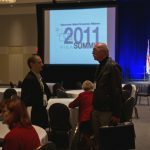 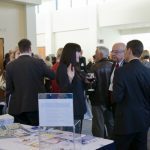 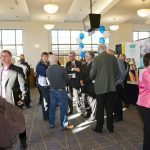 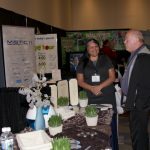 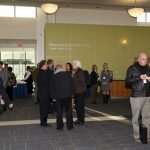 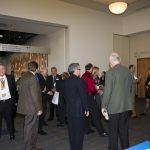 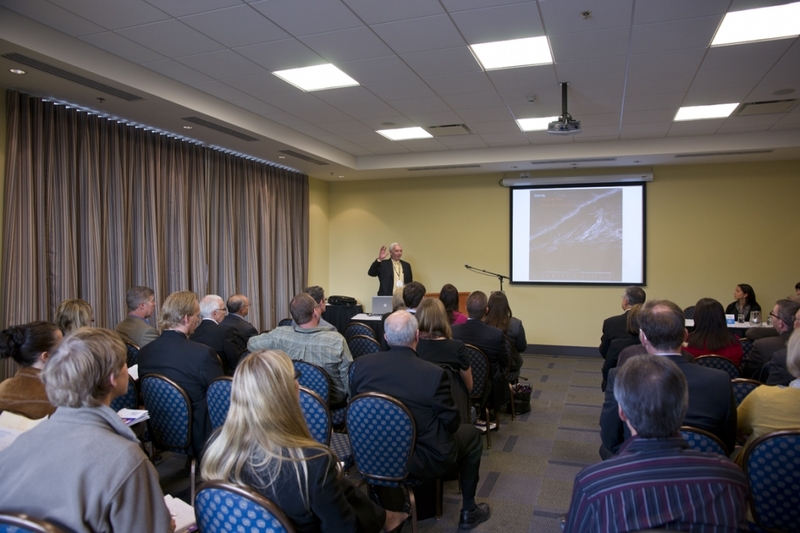 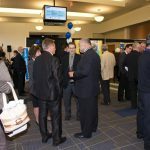 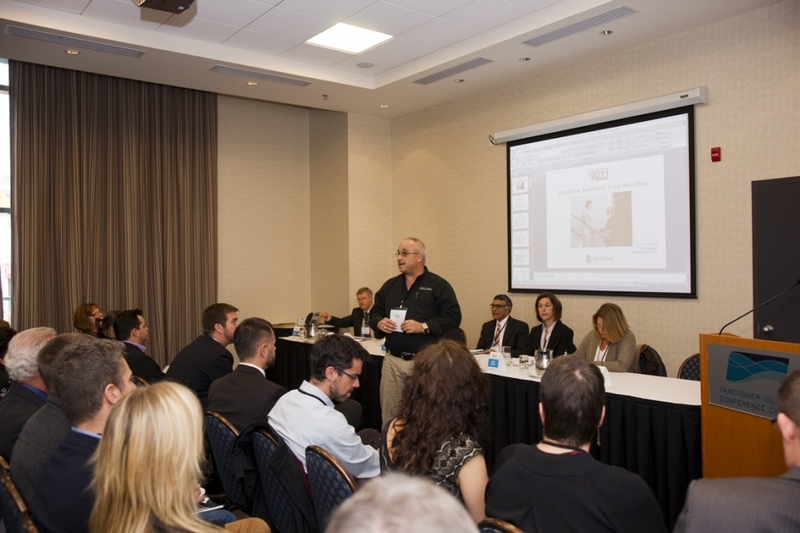 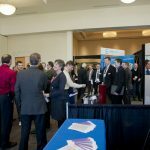 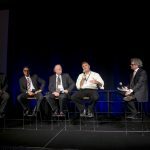 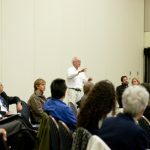 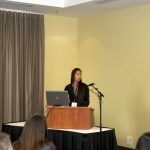 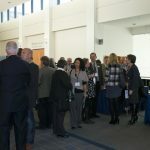 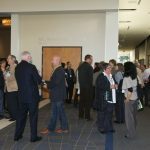 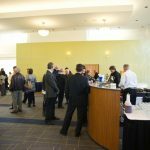 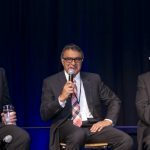 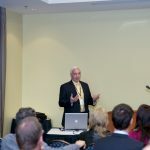 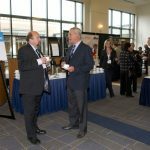 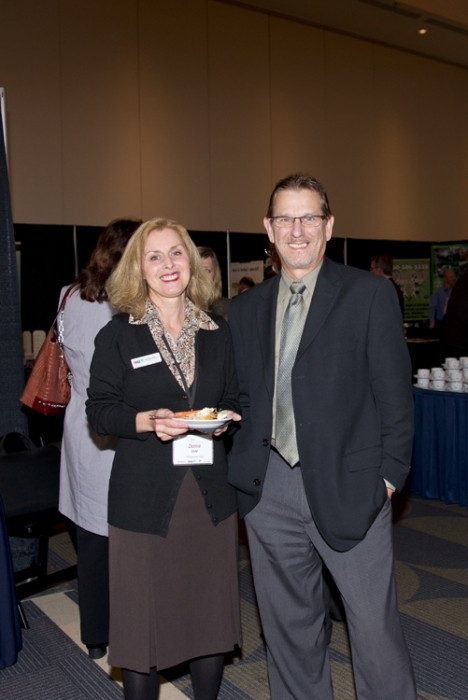 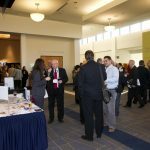 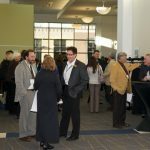 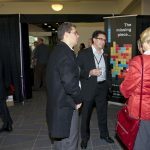 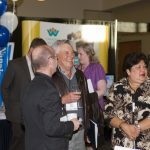 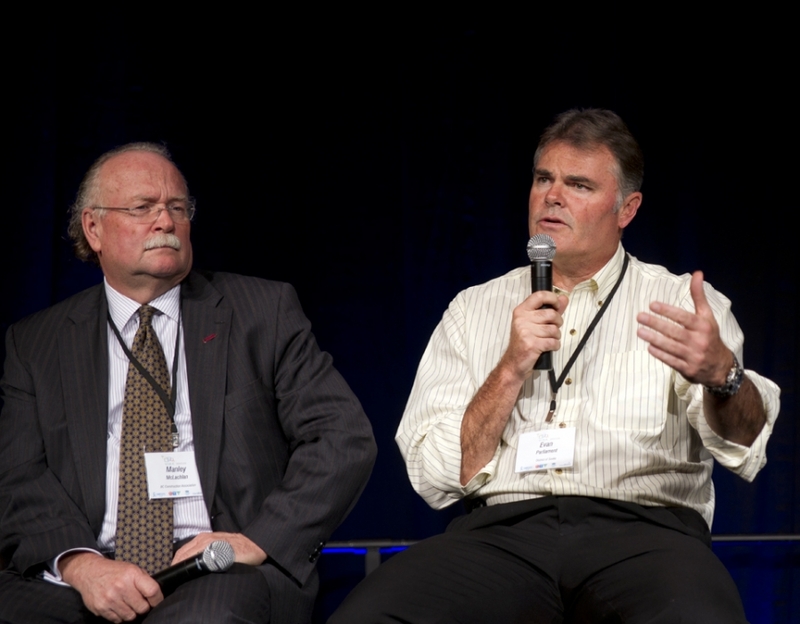 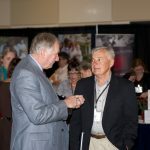 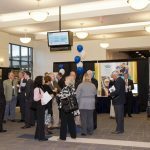 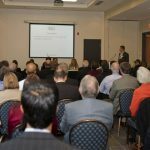 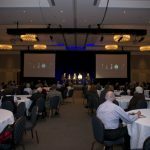 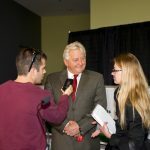 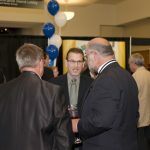 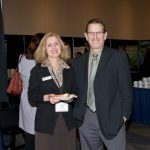 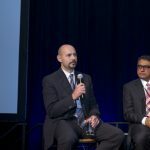 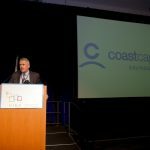 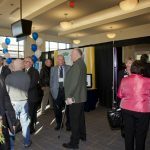 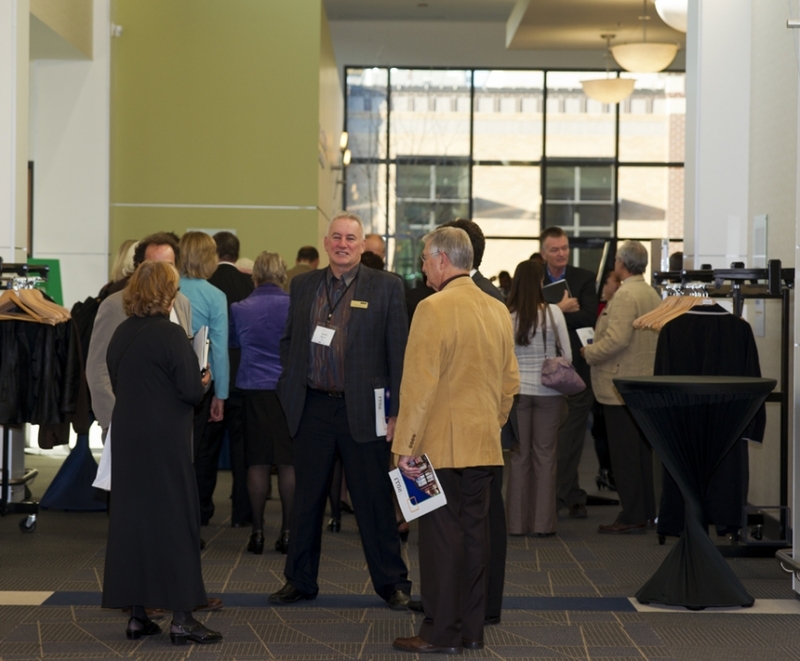 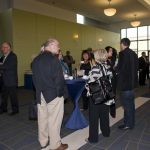 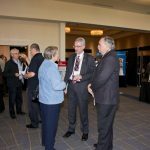 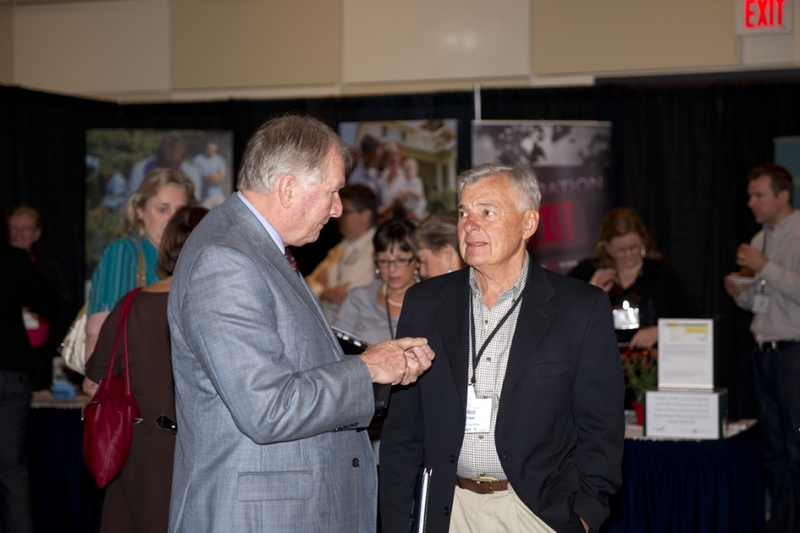 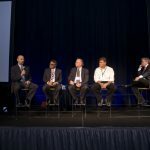 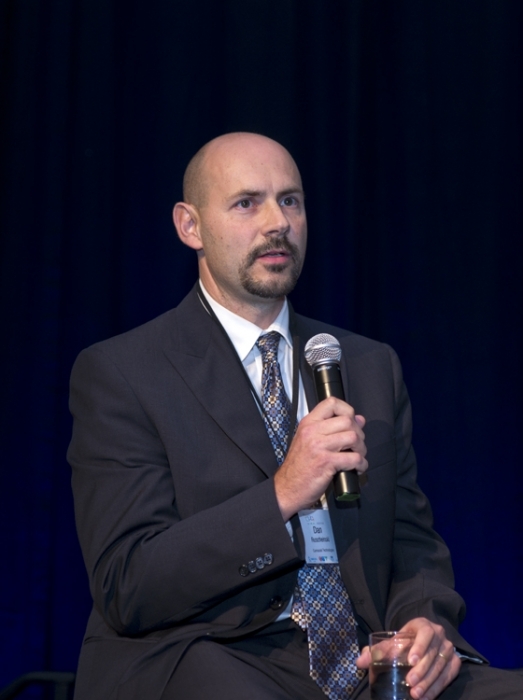 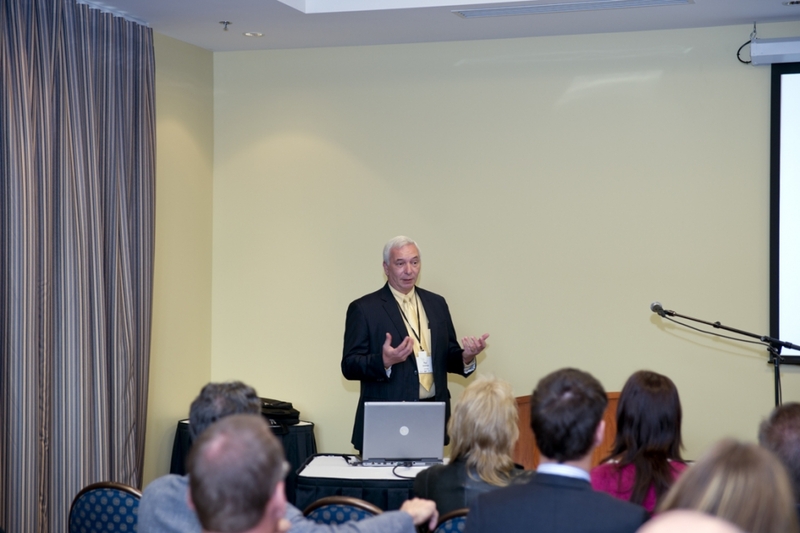 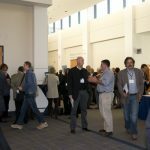 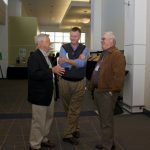 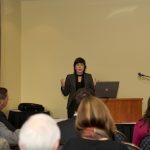 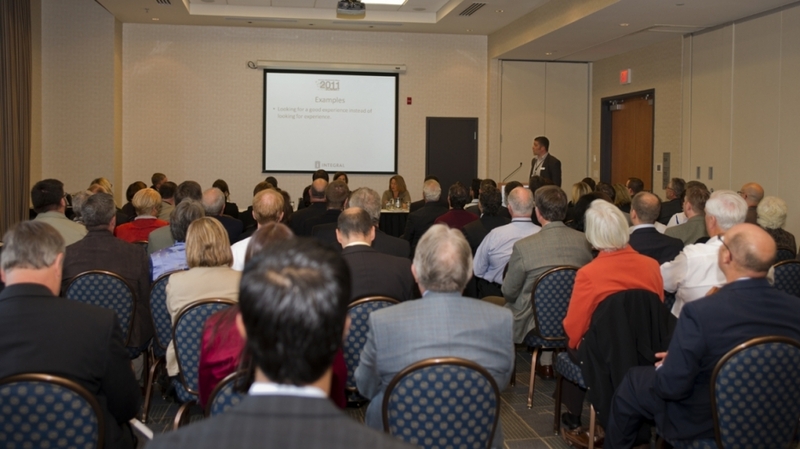 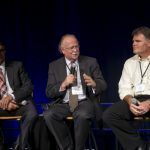 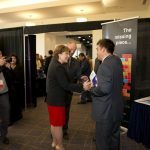 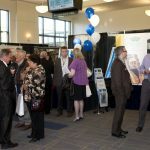 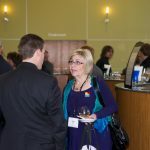 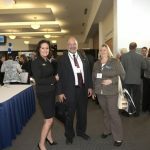 Investment Attraction – As we heard from presenters at the last two Economic Summits, succession planning for small businesses should be an issue of interest and concern in every community on Vancouver Island. 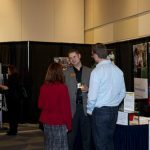 It is expected that many small business owners will seek to sell their businesses and retire within the next 10 years. 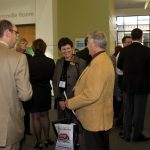 Who are the buyers? 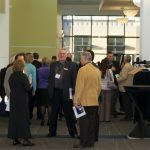 From where will they come? 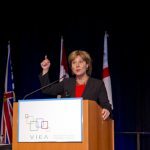 VIEA is uniquely positioned to promote all of Vancouver Island as a place to invest. 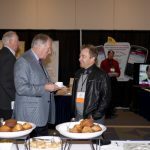 We have begun to connect with communities of recent immigrants in urban centres and it is our intention to acquire additional resources to enable us to expand and continue these direct marketing efforts. 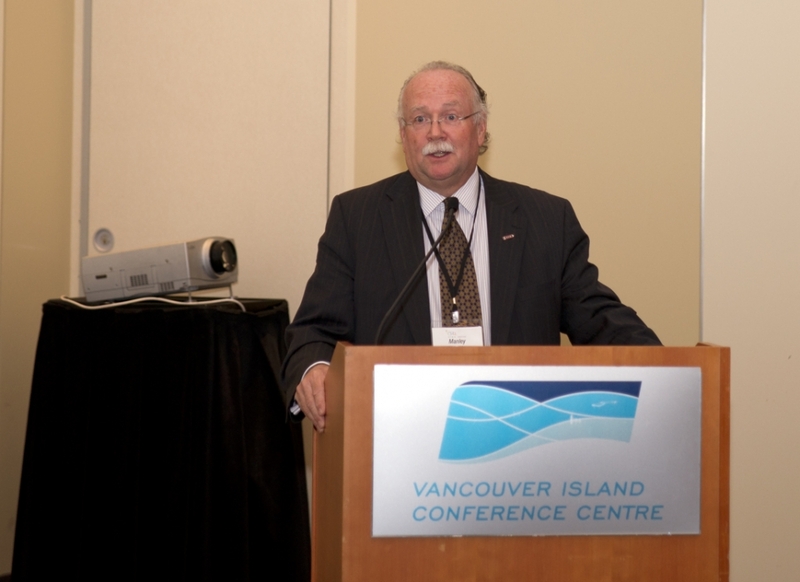 Vancouver Island 2065 – Our three-year old partnership with CAVI (Convening for Action on Vancouver Island) is a direct outcome from VIEA’s 2010 ‘Link Project’ in which stakeholders all over Vancouver Island were interviewed to identify common issues and opportunities. 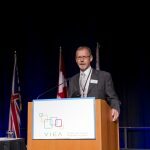 And now, VIEA/CAVI are pleased to announce this new initiative in cooperation with Royal Roads University. 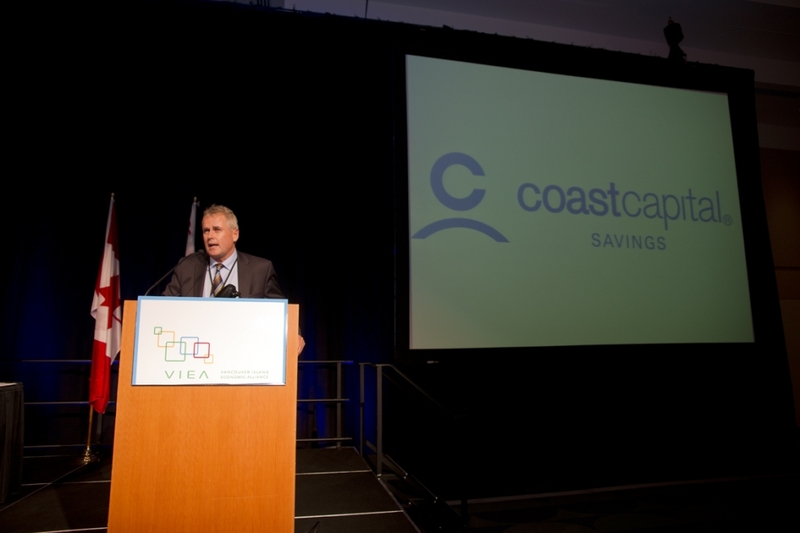 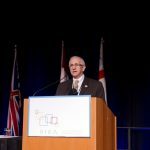 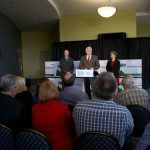 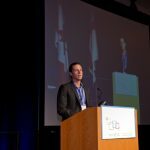 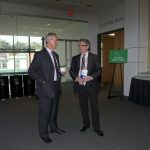 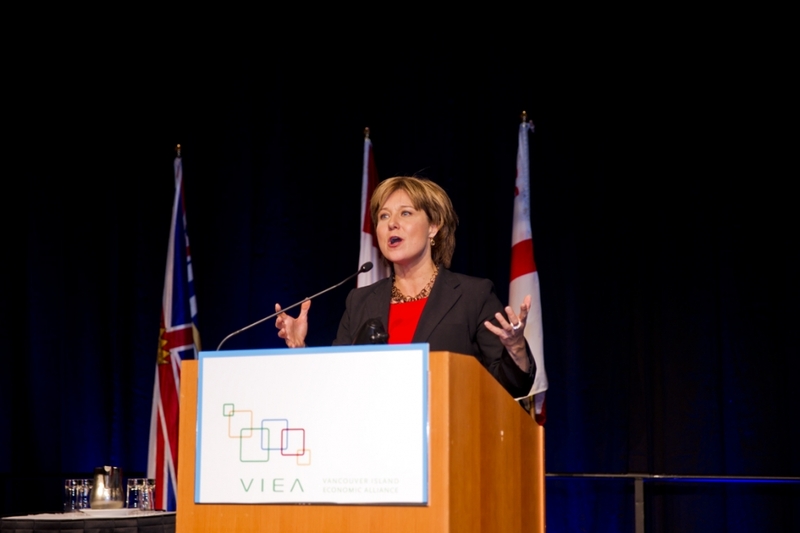 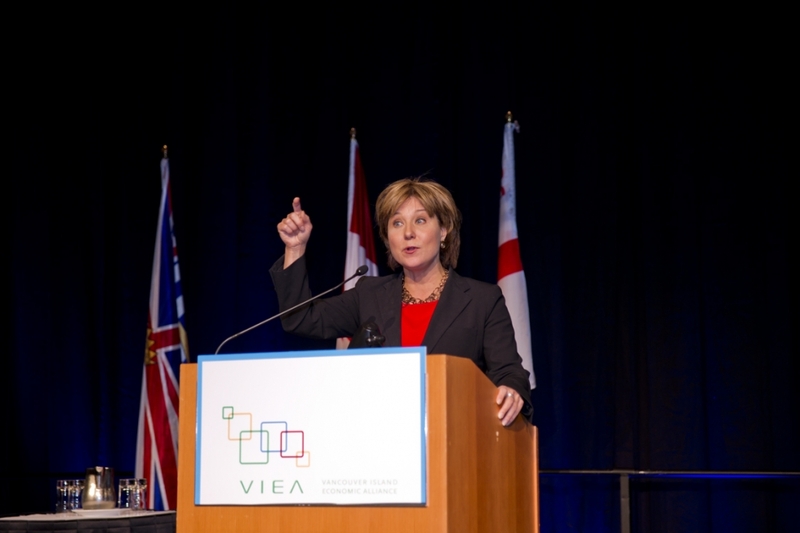 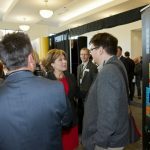 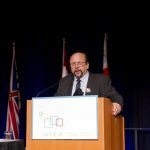 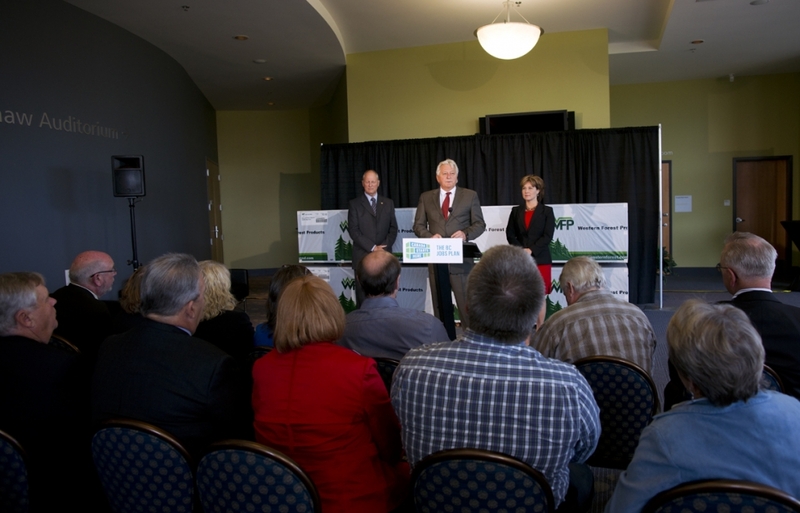 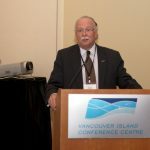 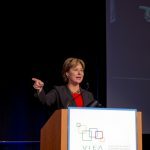 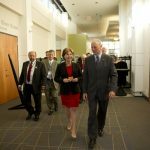 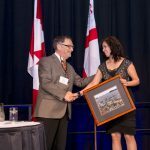 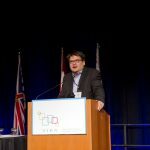 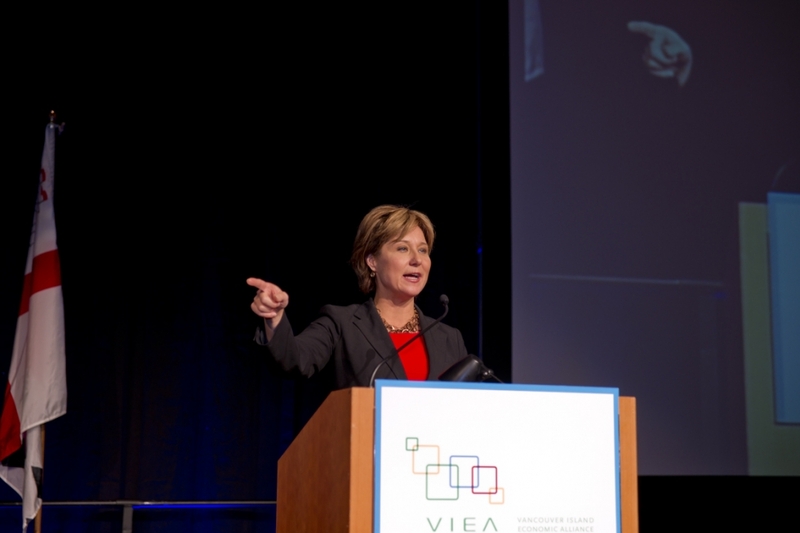 With research expertise provided by Royal Roads, funding from VIEA and CAVI, the VI 2065 project will gather information Island-wide to produce a comprehensive report showing how local government’s collaborative efforts today can achieve future sustainability through a balance of ecology and economy. 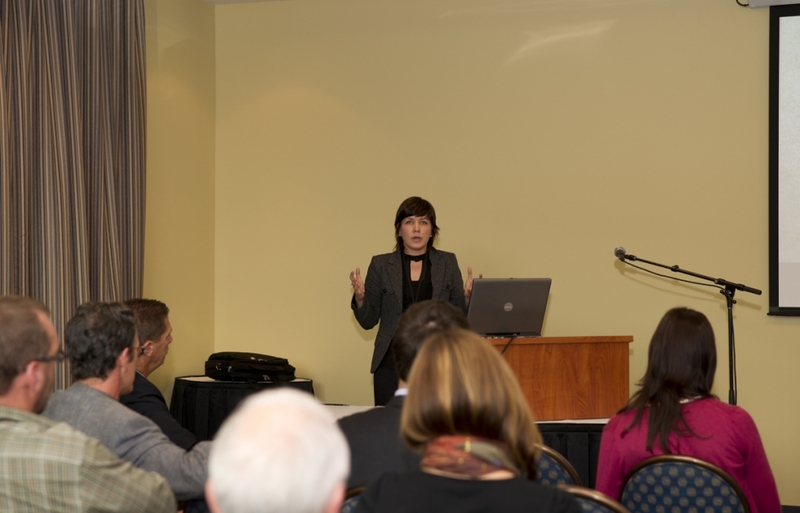 The results of this study will demonstrate the similarities and differences between various local government bodies and their current approach towards sustainability; with a specific focus on identifying potential collaborative opportunities to foster inter-regional/inter-community stewardship. 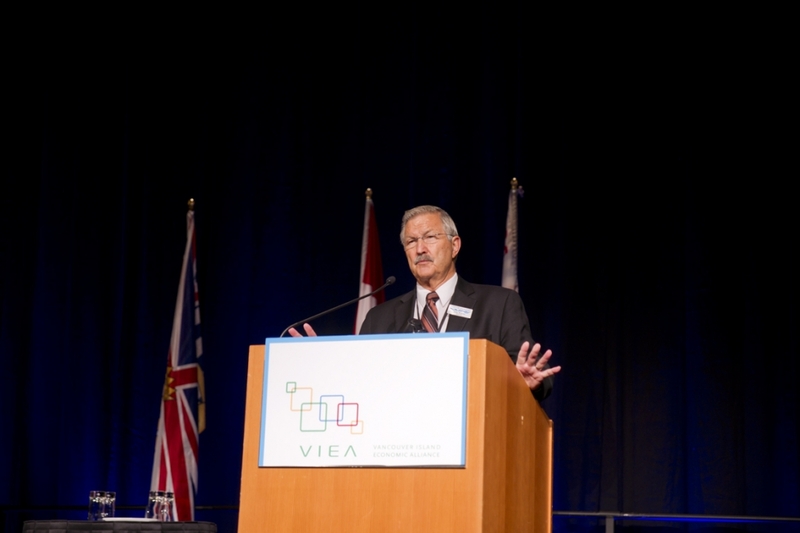 VIHA’s North Island Hospital projects. 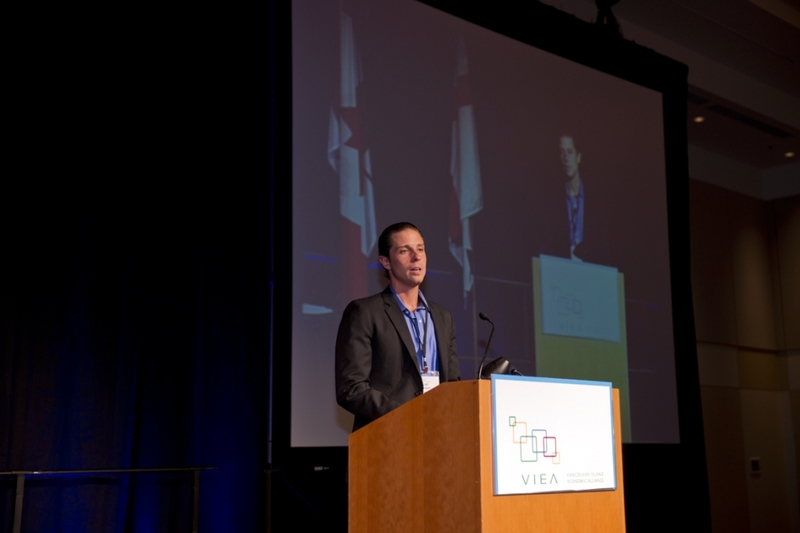 All of these initiatives have resulted from presentations, networking and brainstorming at previous Economic Summits amongst VIEA members, sponsors and associates. 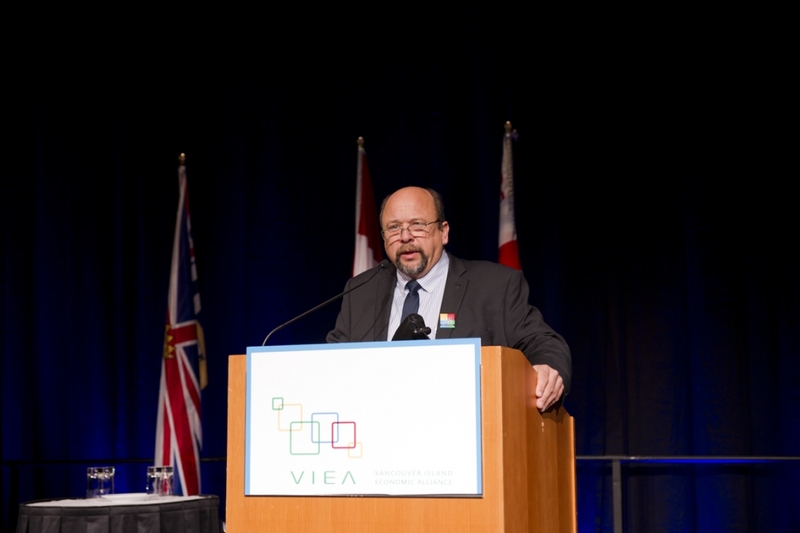 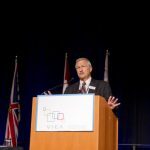 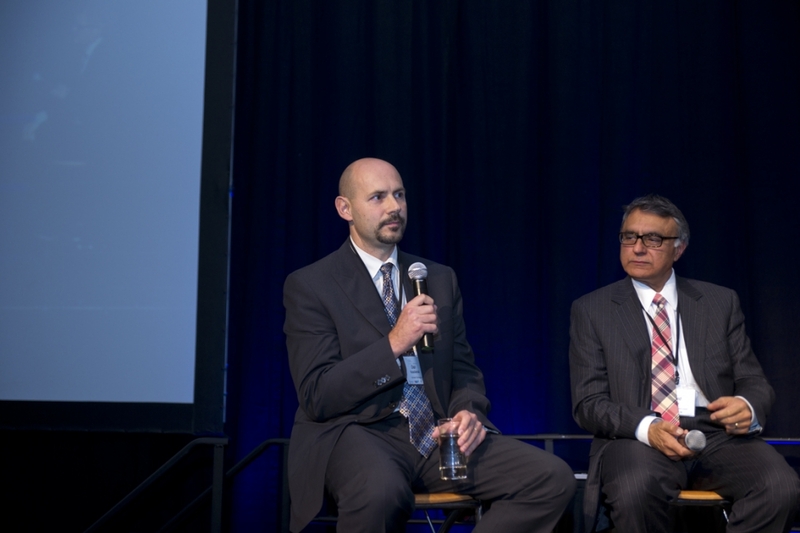 VIEA’s work is guided by people like you who are willing to support VIEA through your membership, to come together, to think openly, ask questions and share ideas. 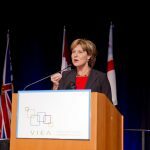 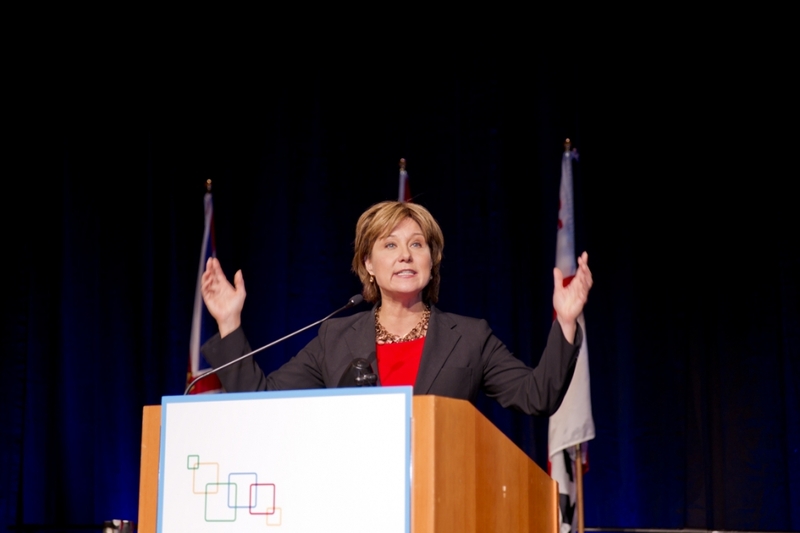 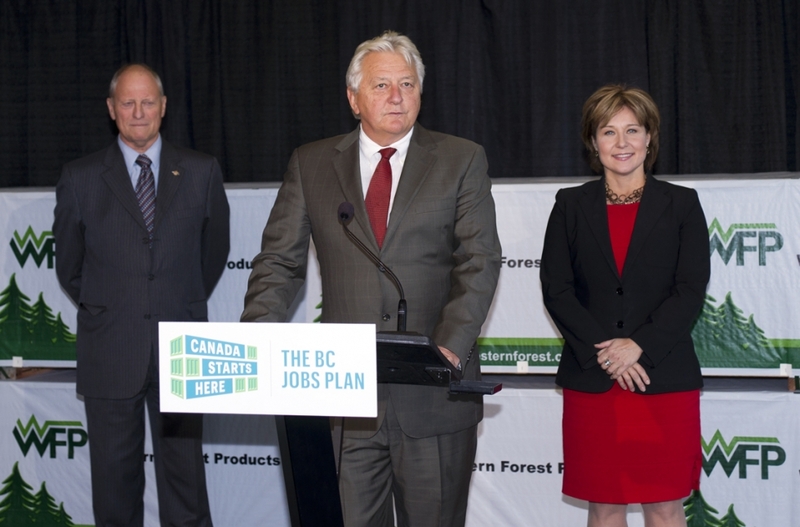 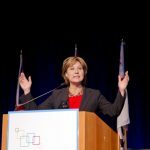 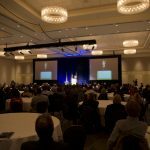 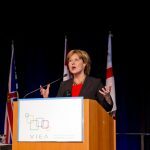 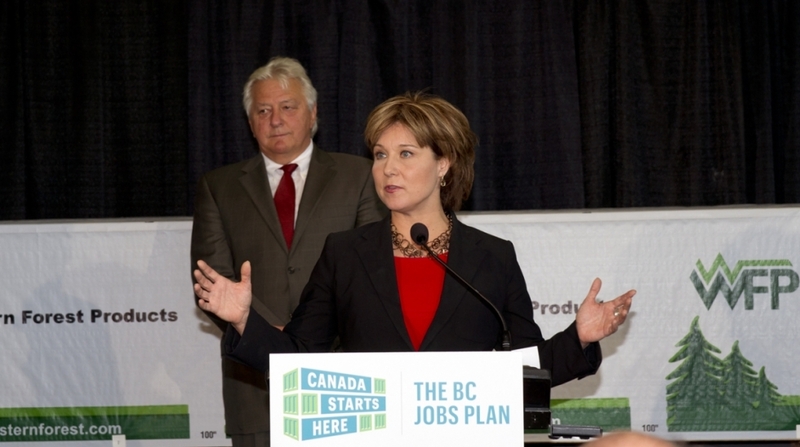 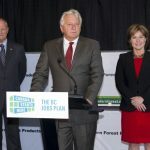 The Balance of Power—What does the future hold for energy on Vancouver Island? 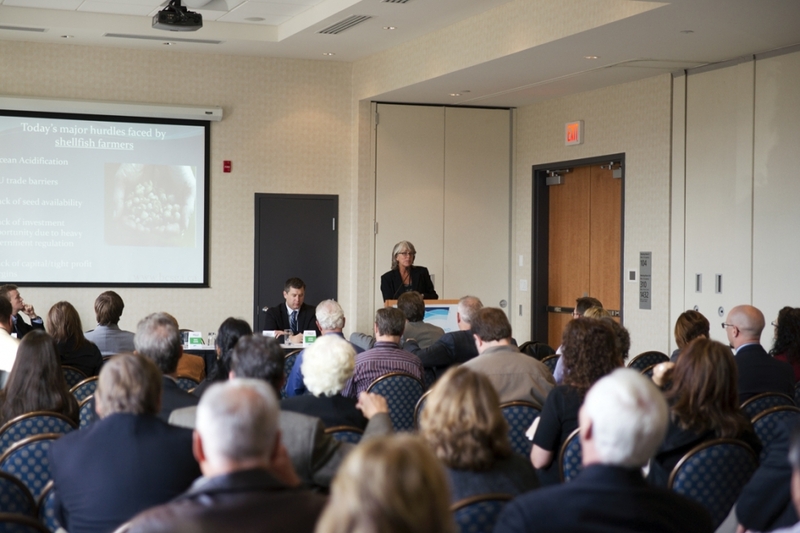 Your Money or Your Life—How will we protect our lifestyle ‘Golden Goose’ while growing our communities and our economy? 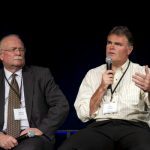 Transportation—How Do We Get There From Here? 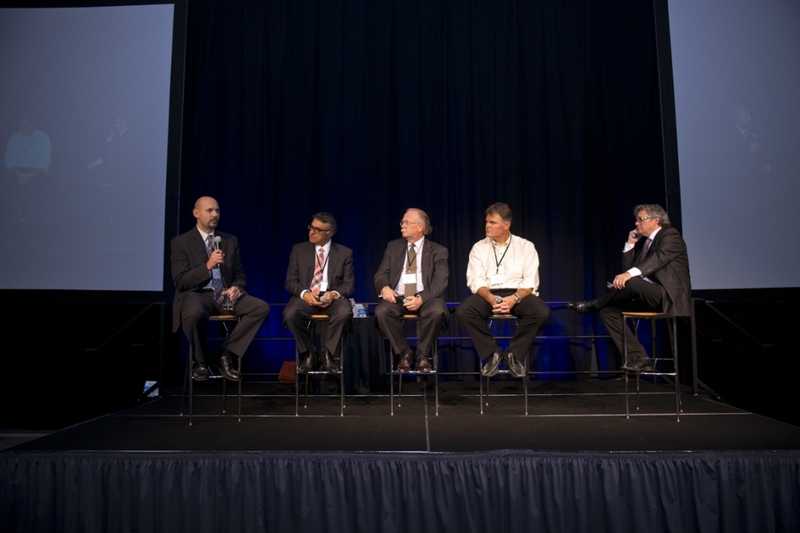 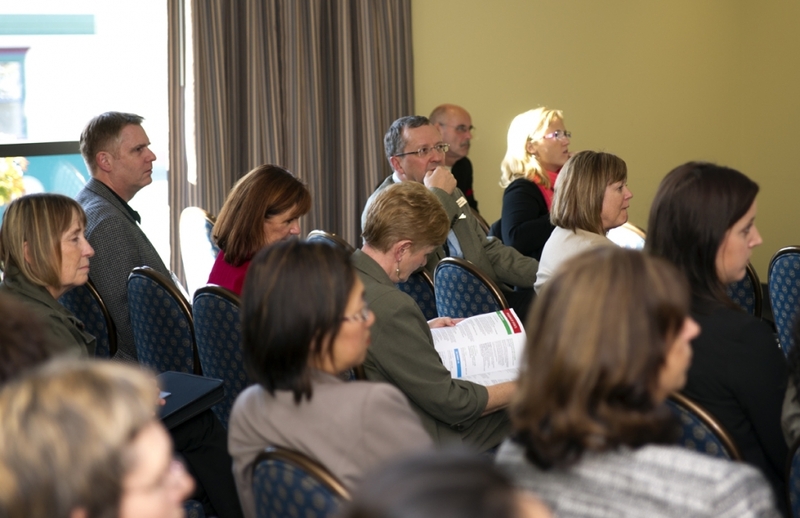 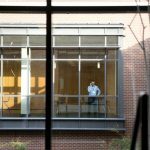 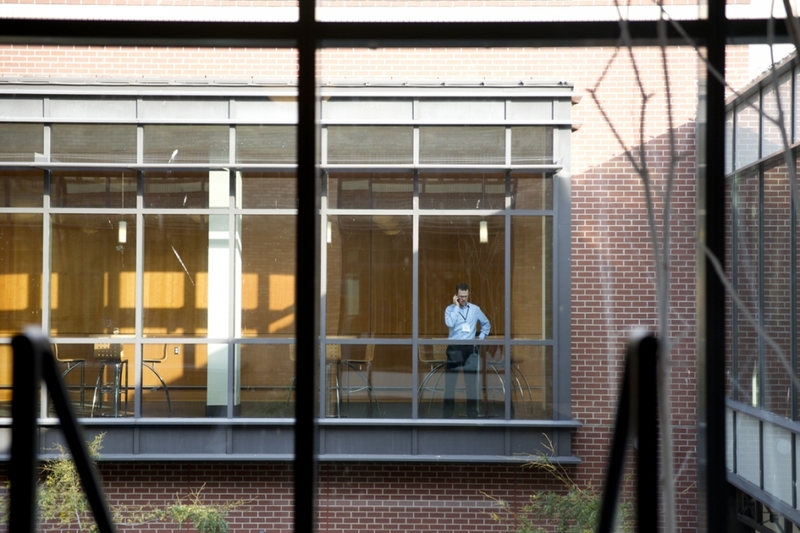 Taking Care of Business—Understanding the Link Between Good Health and Good Business. 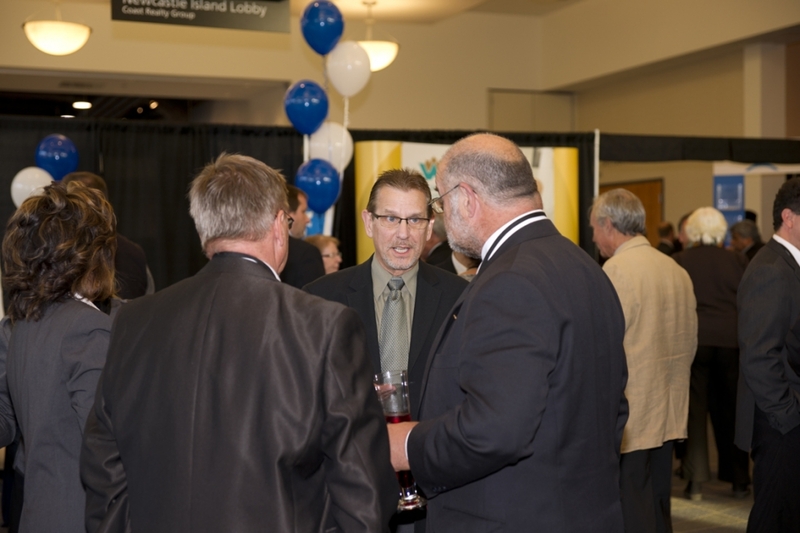 CFAX 1070-Bruce Williams || Live from 2013 State of the Island Economic Summit on Oct 29, 2013 in Nanaimo. 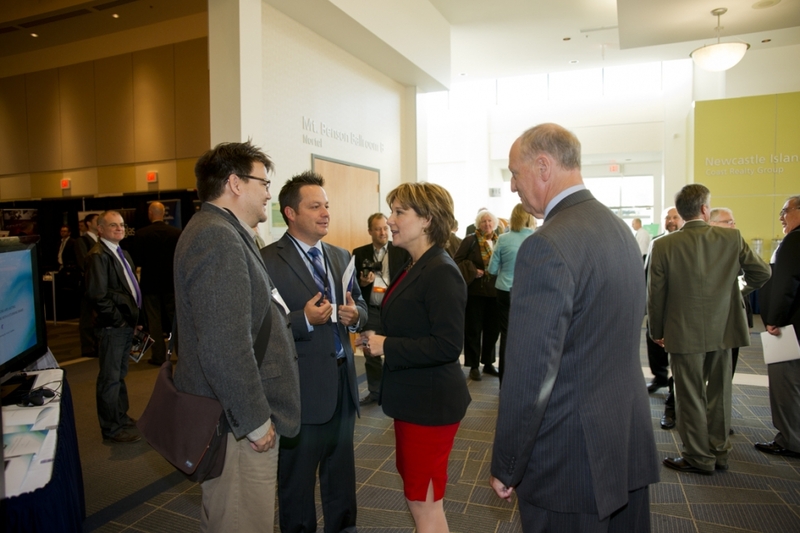 The President of Vancouver Island Economic Alliance George Hanson, the Chair of BC Coastal Forest Workforce Initiatives Patrick Marshall, the Economic Development Officer of Greater Victoria Chamber of Commerce Dallas Gislason and the Chair of Island Trust Council Sheila Malcolmson were interviewed by Bruce Williams during 2013 State of the Island Economic Summit on October 29, 2013 at the Nanaimo Conference Center. 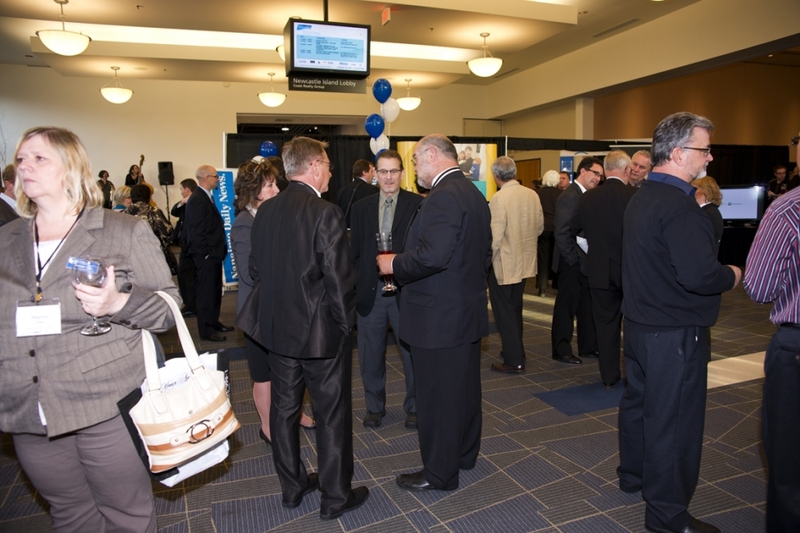 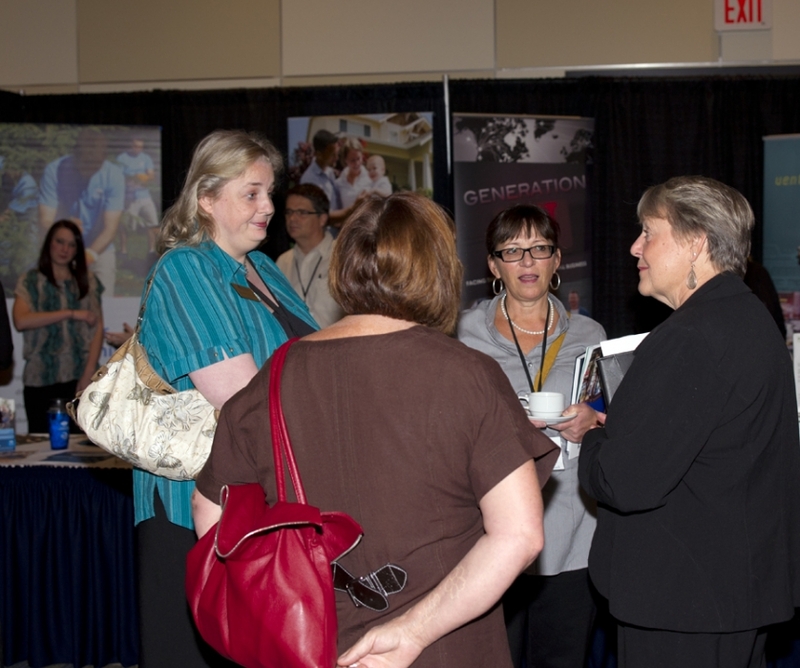 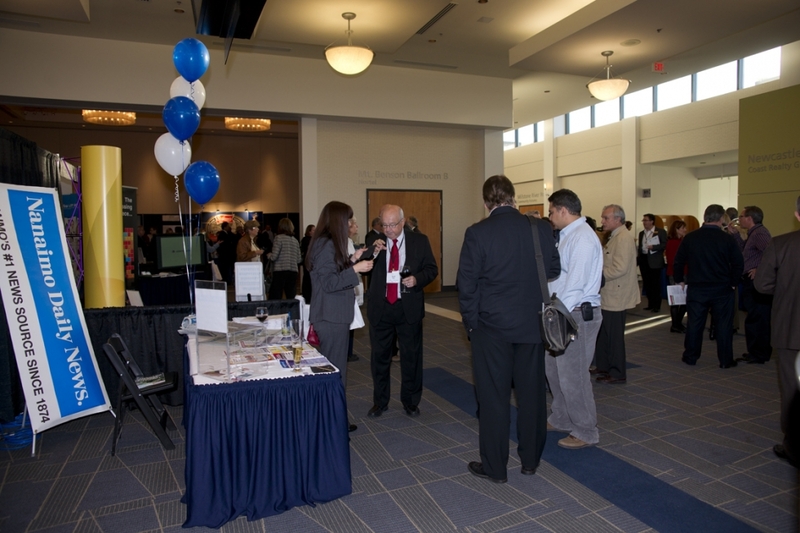 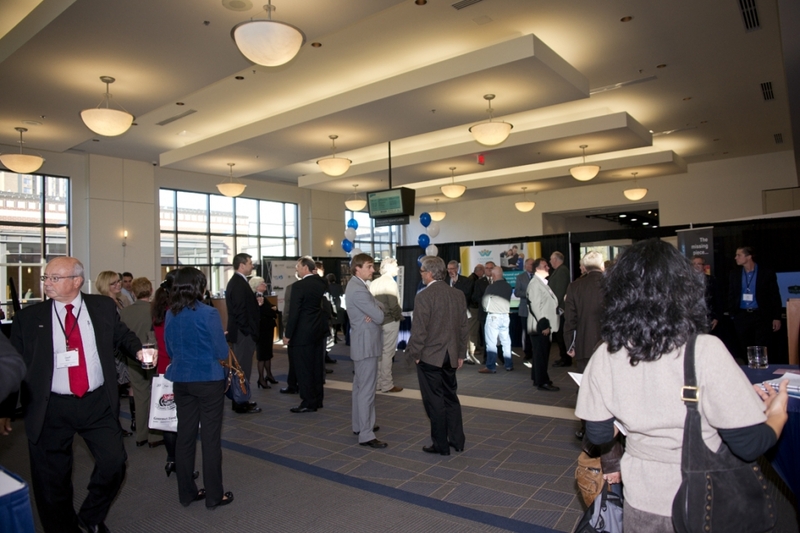 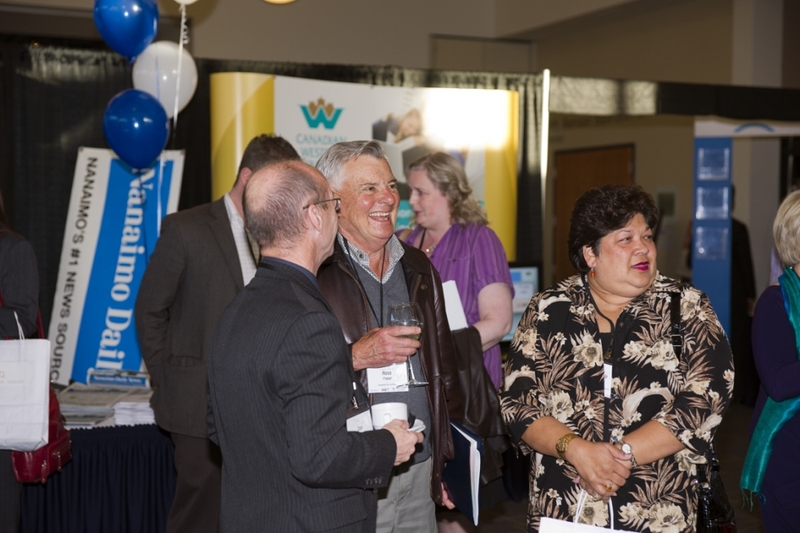 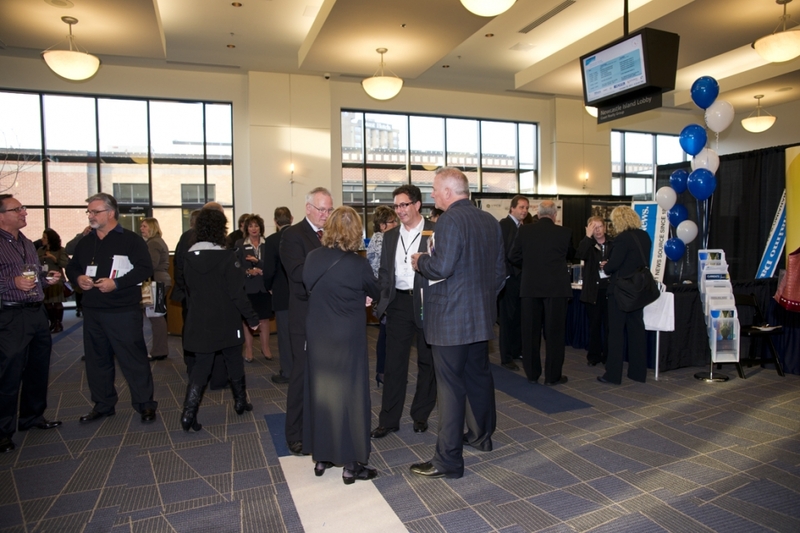 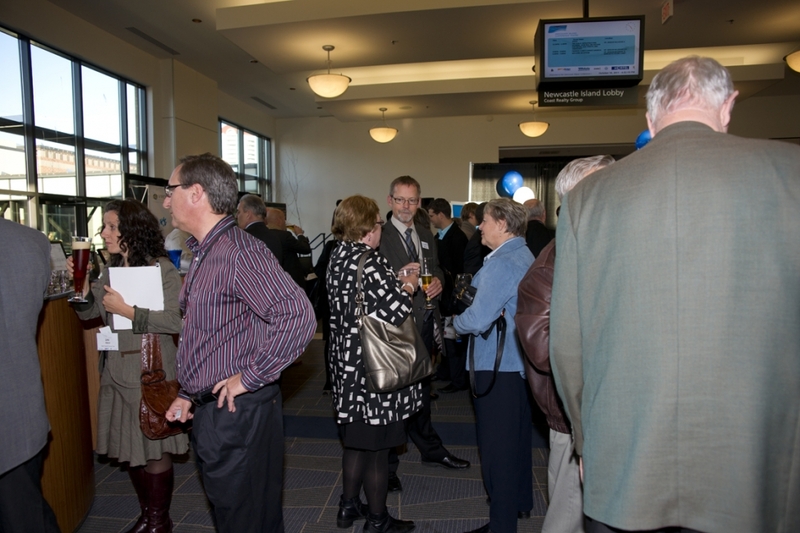 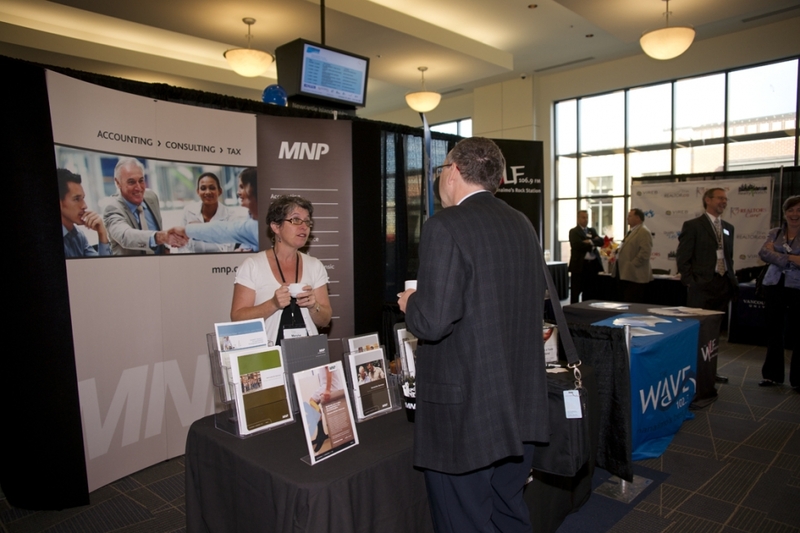 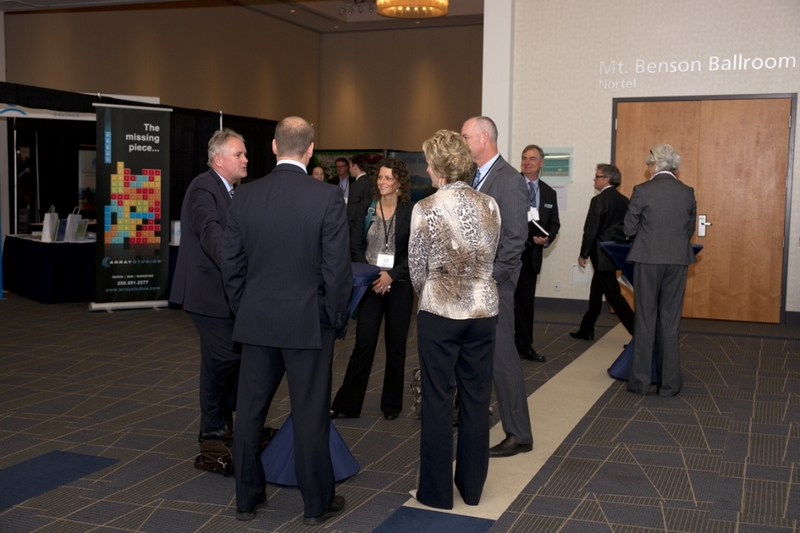 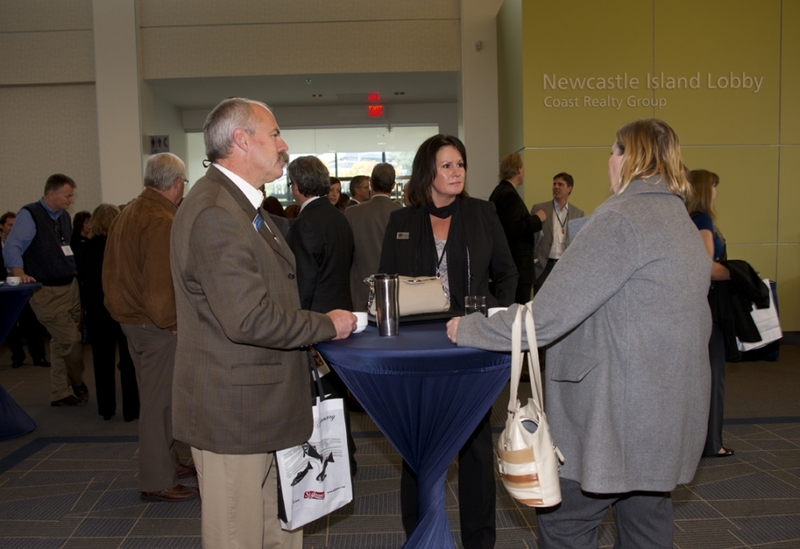 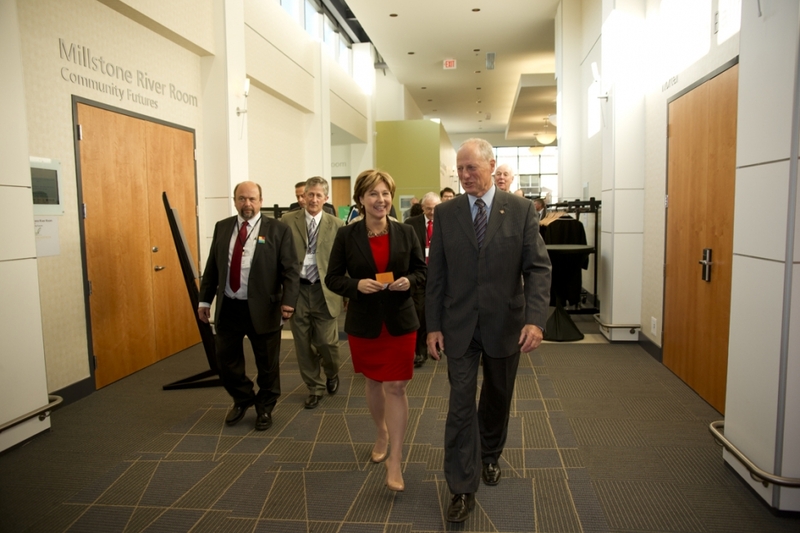 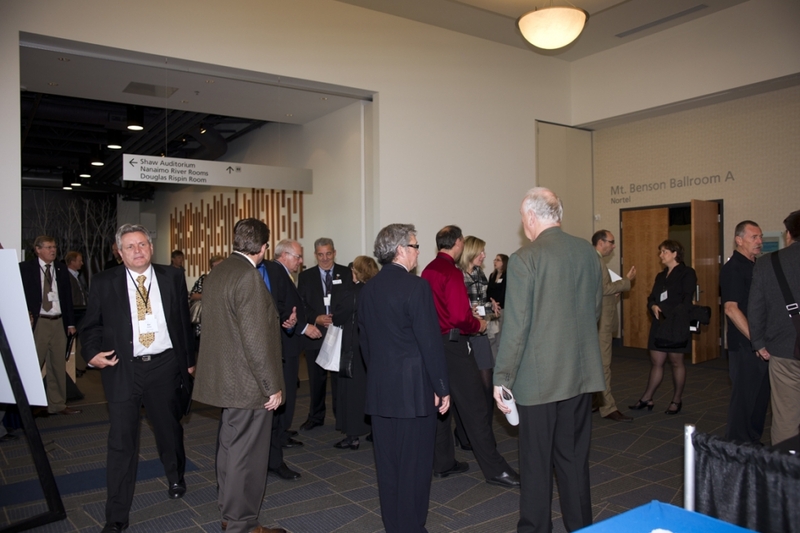 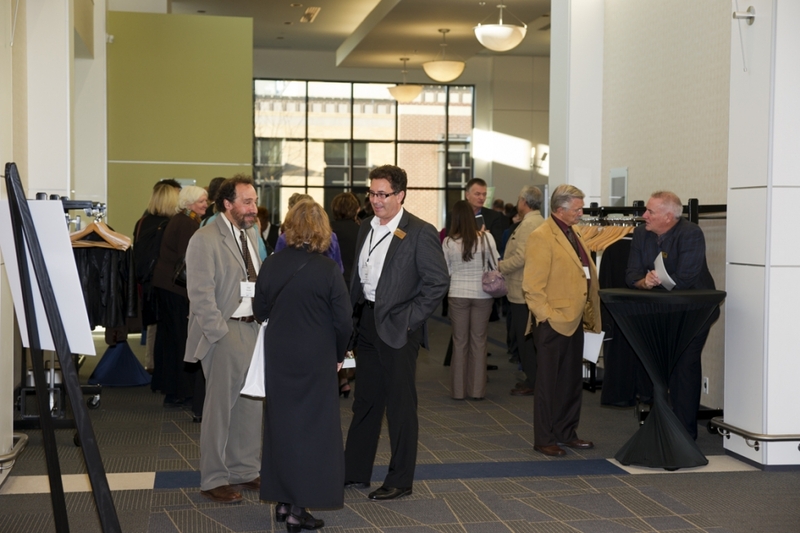 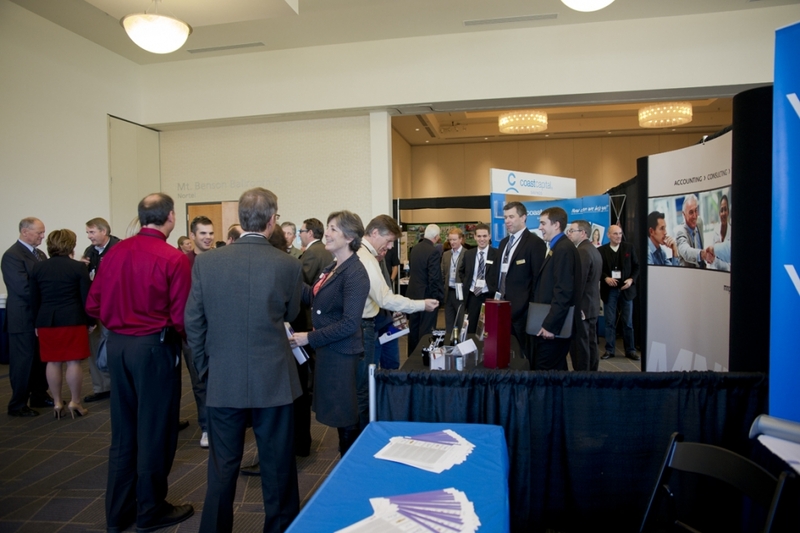 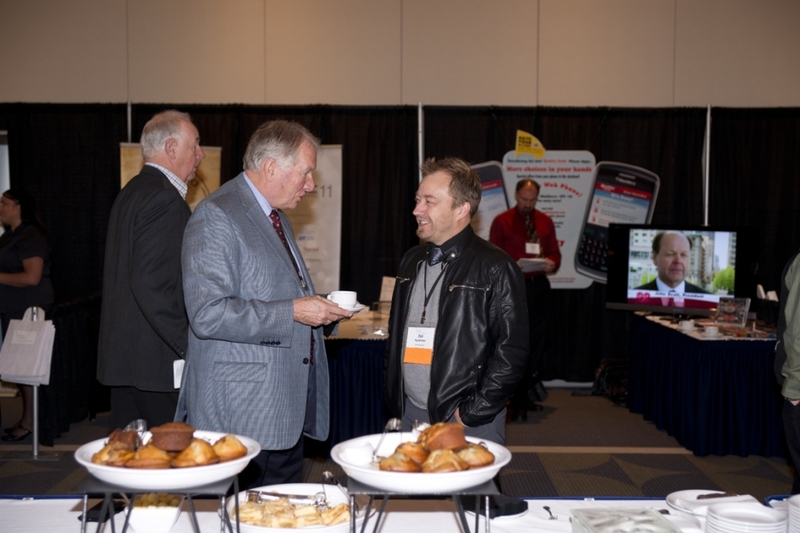 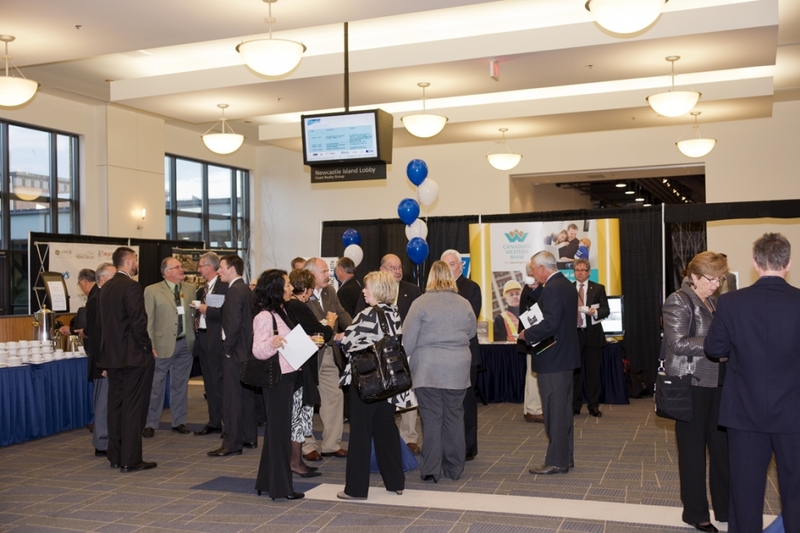 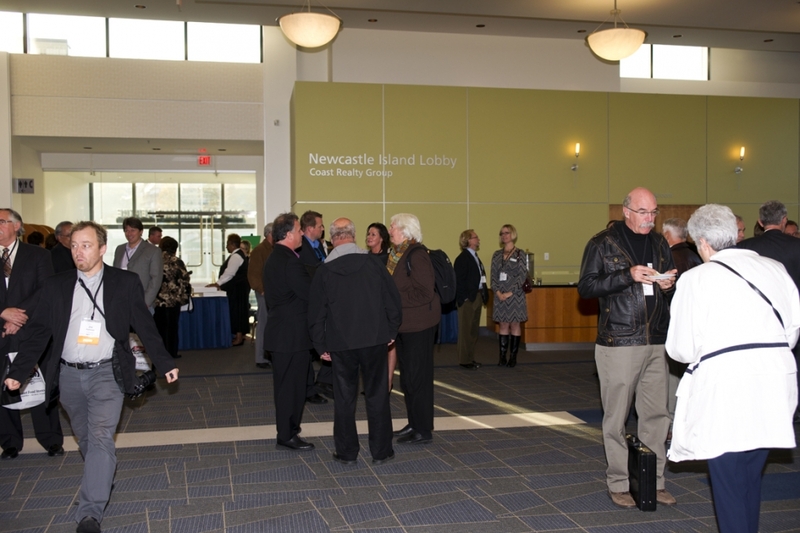 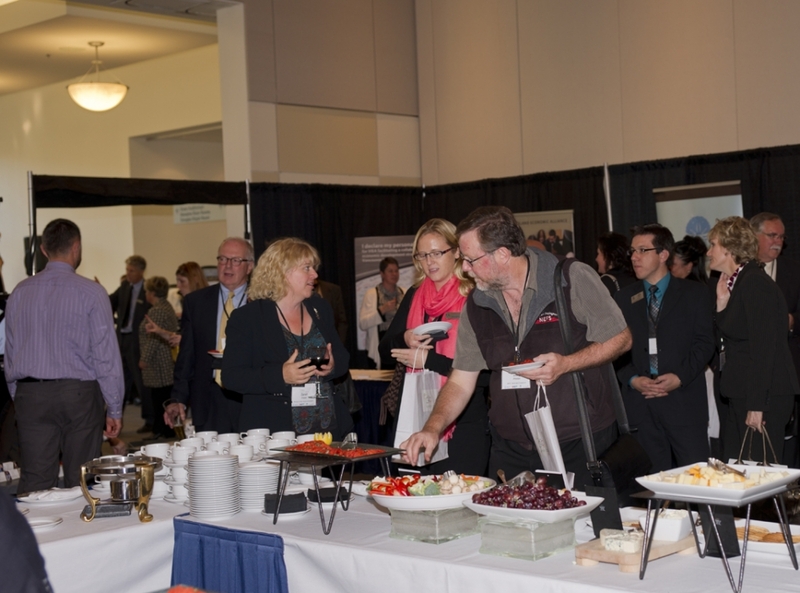 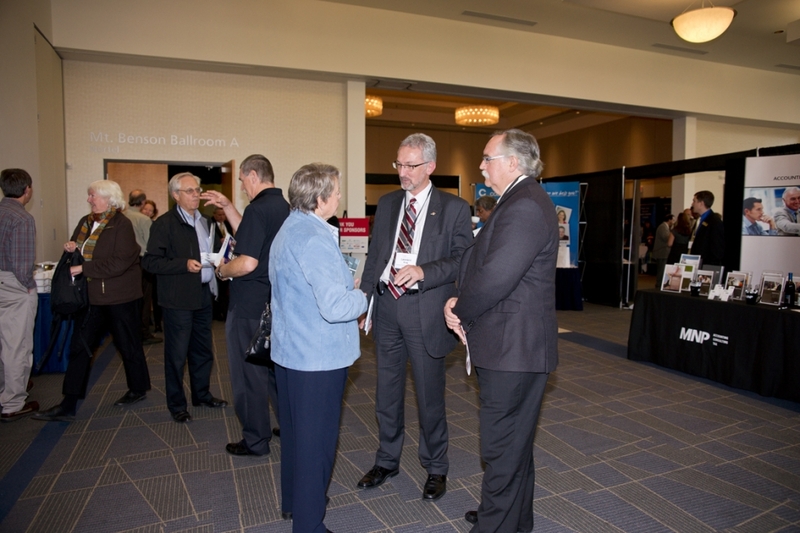 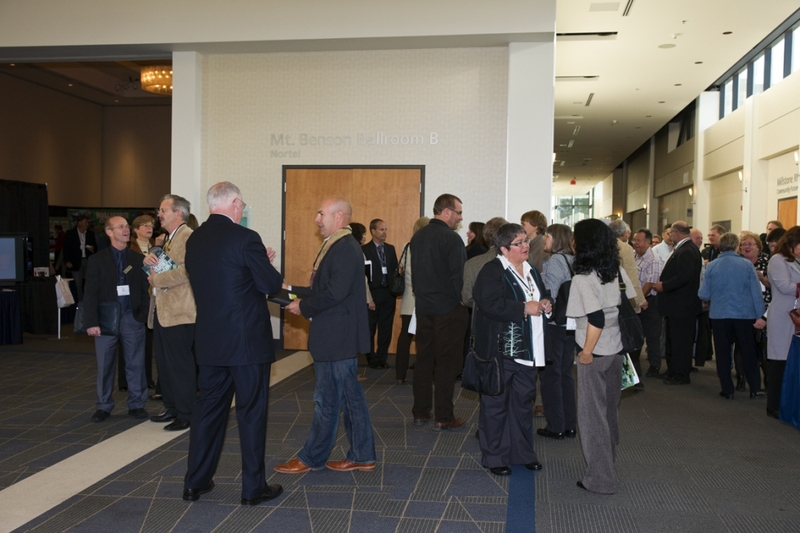 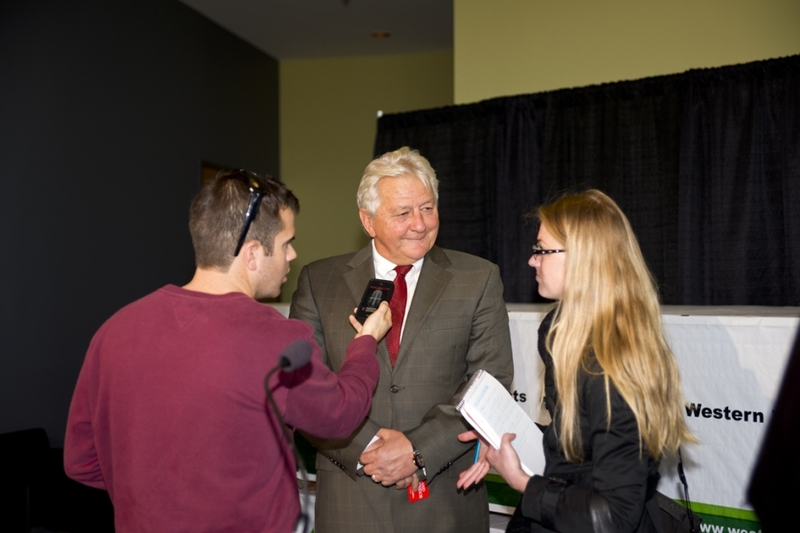 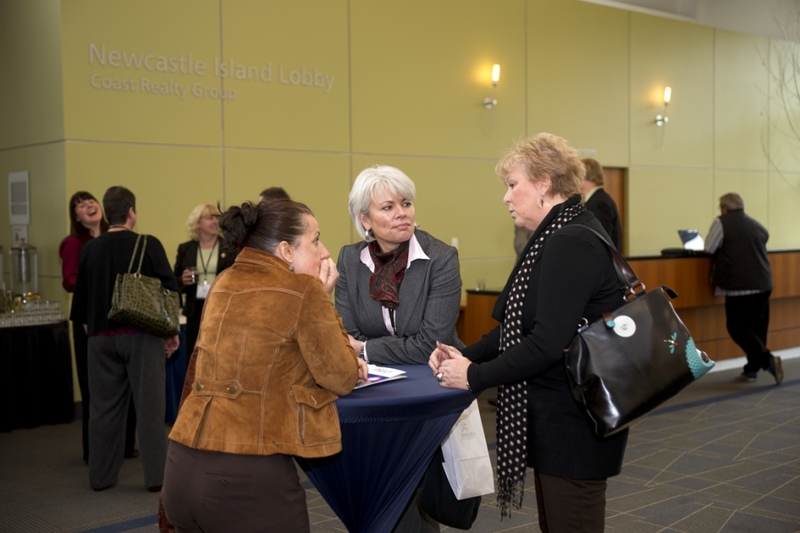 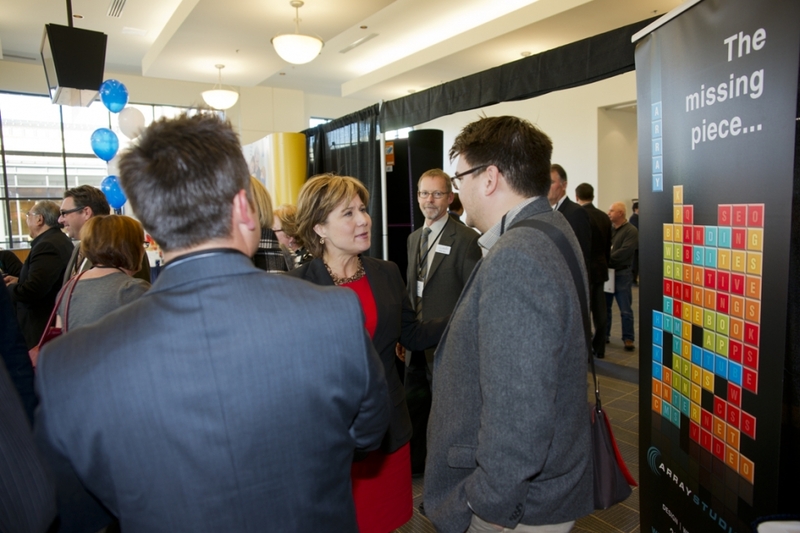 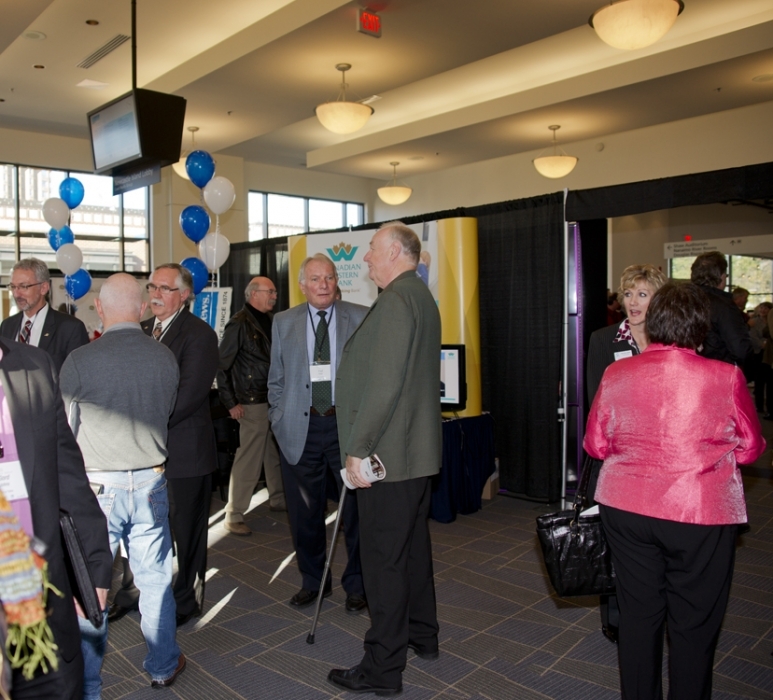 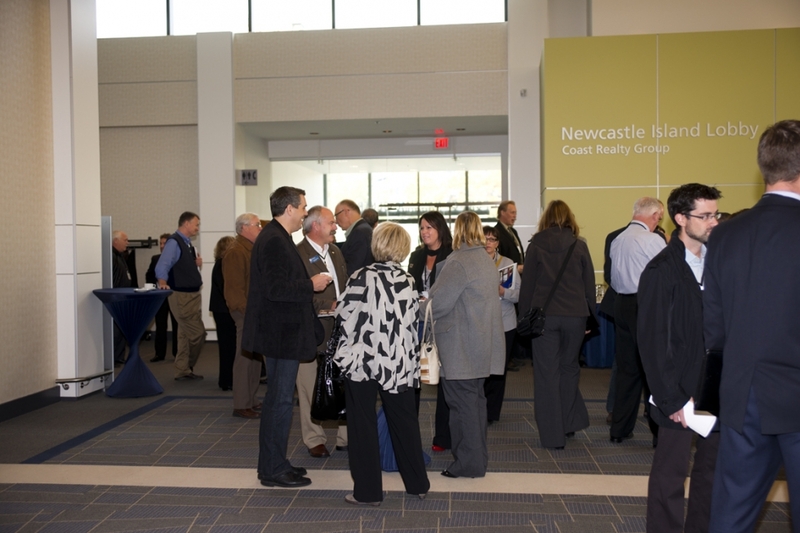 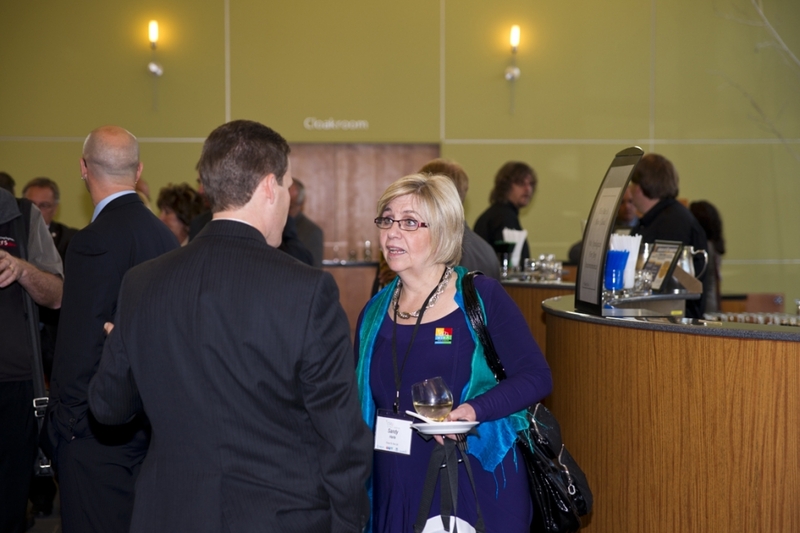 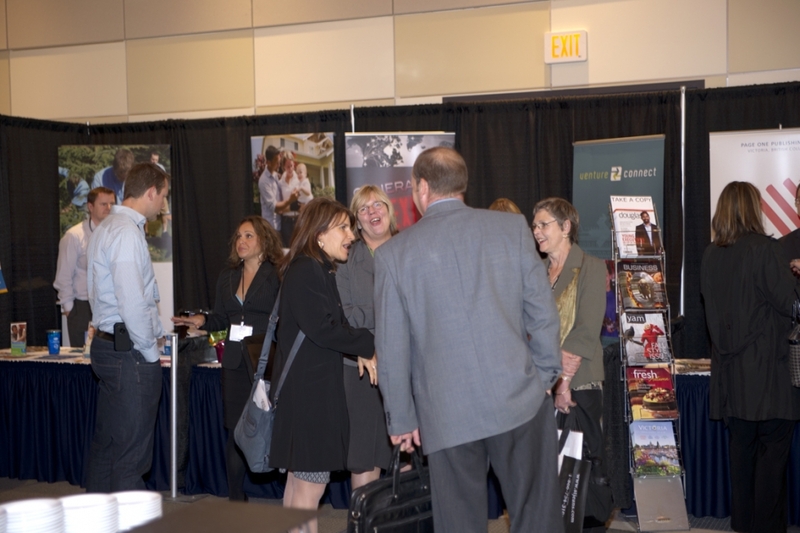 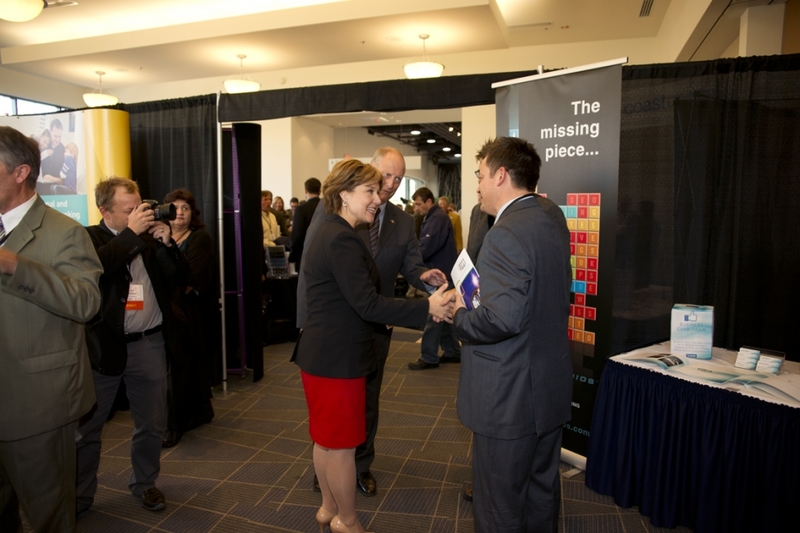 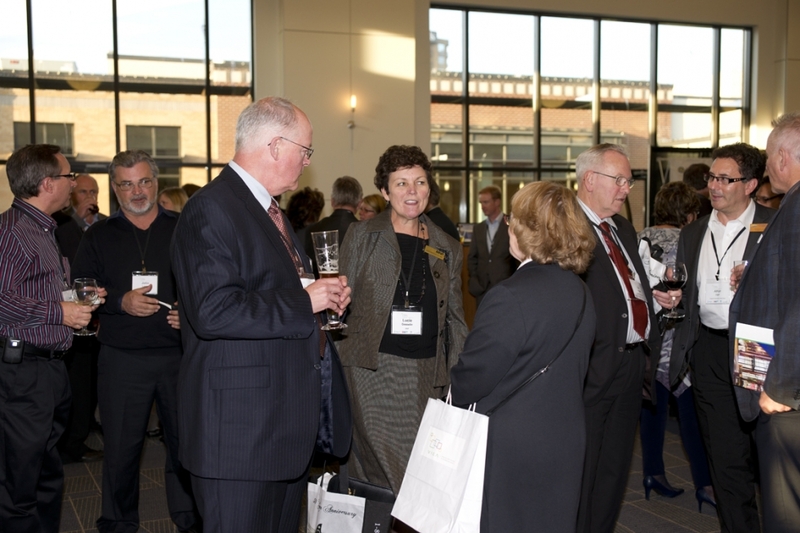 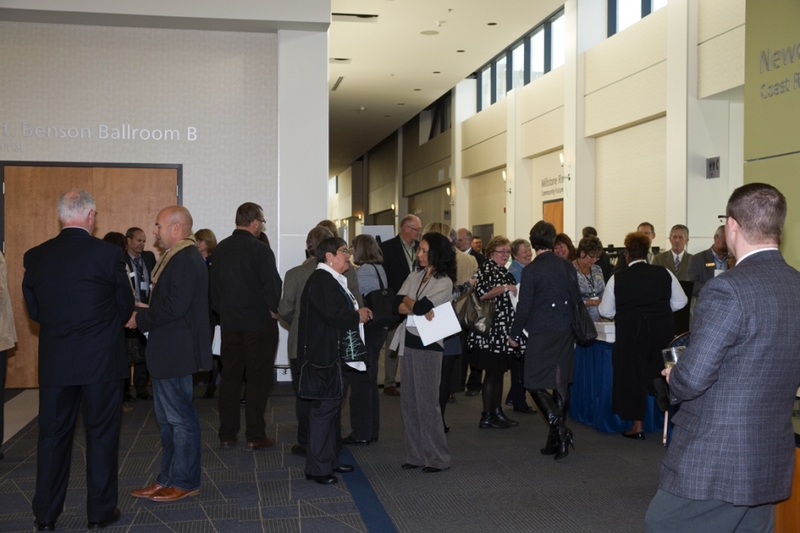 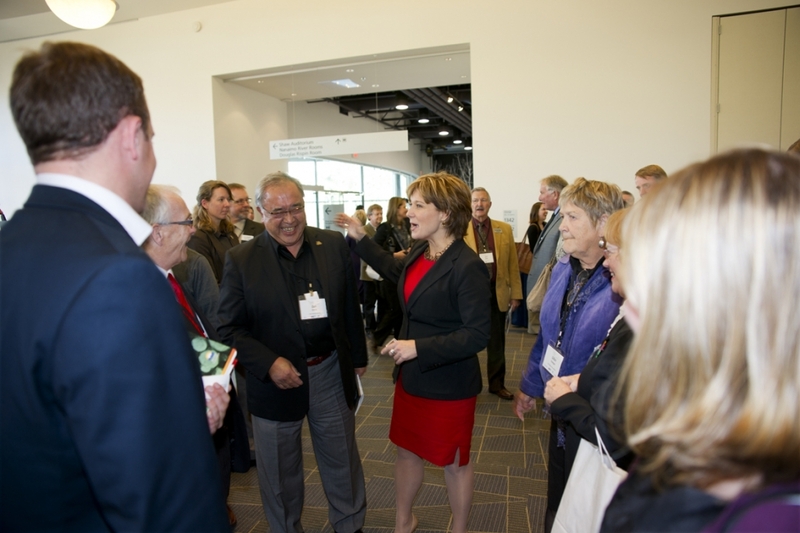 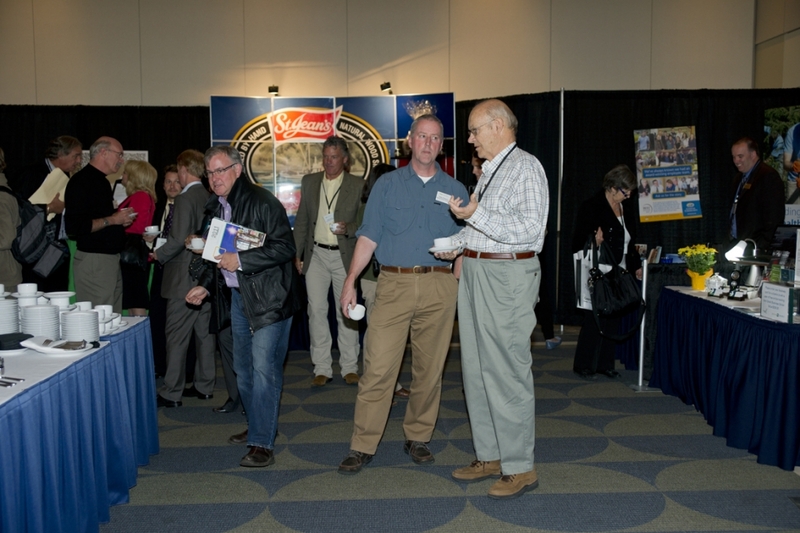 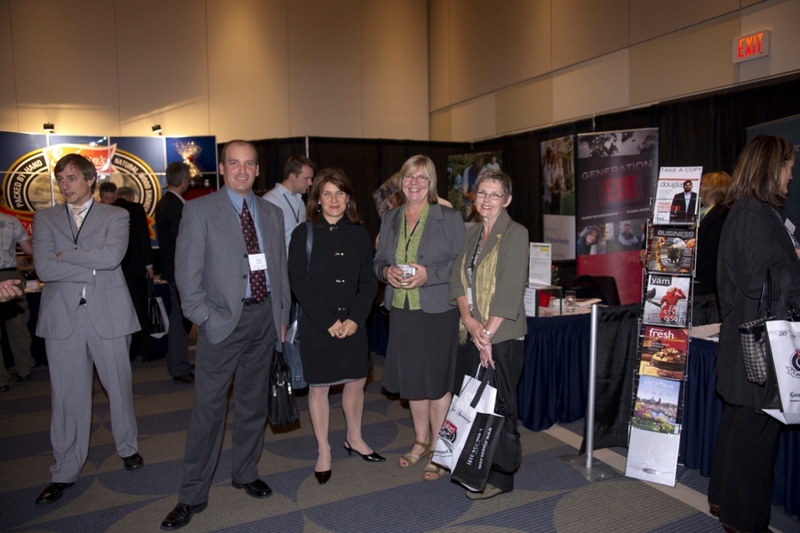 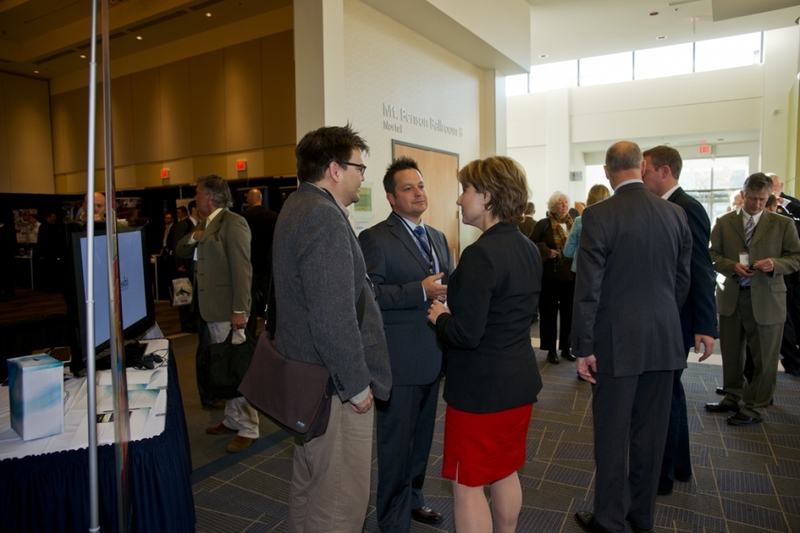 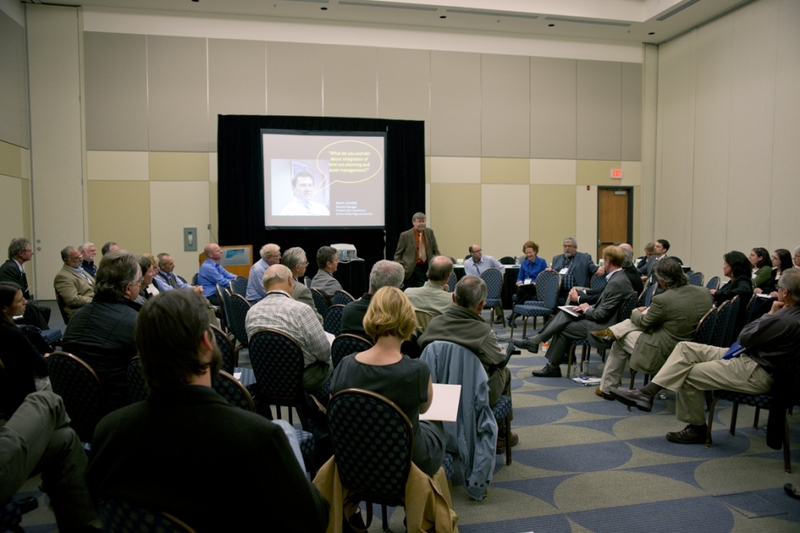 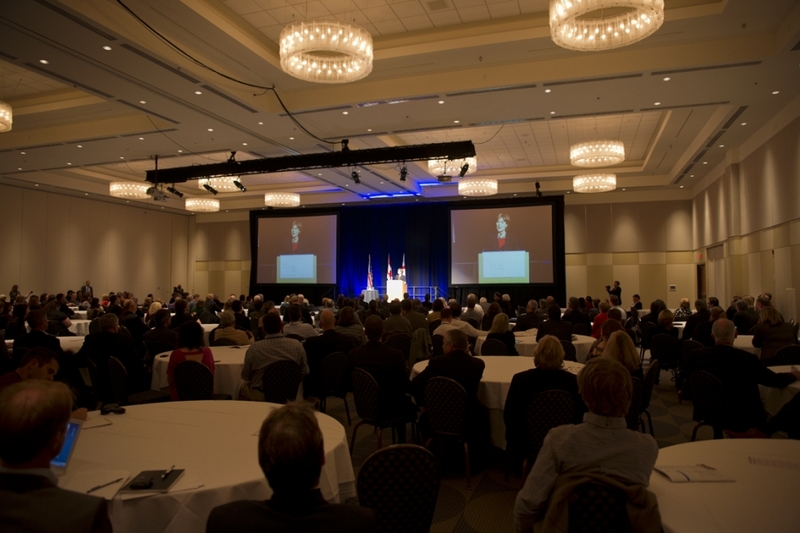 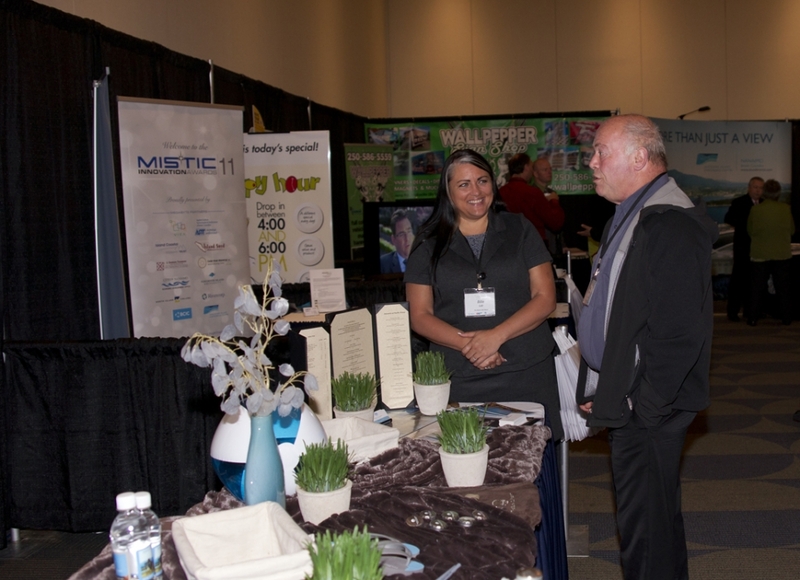 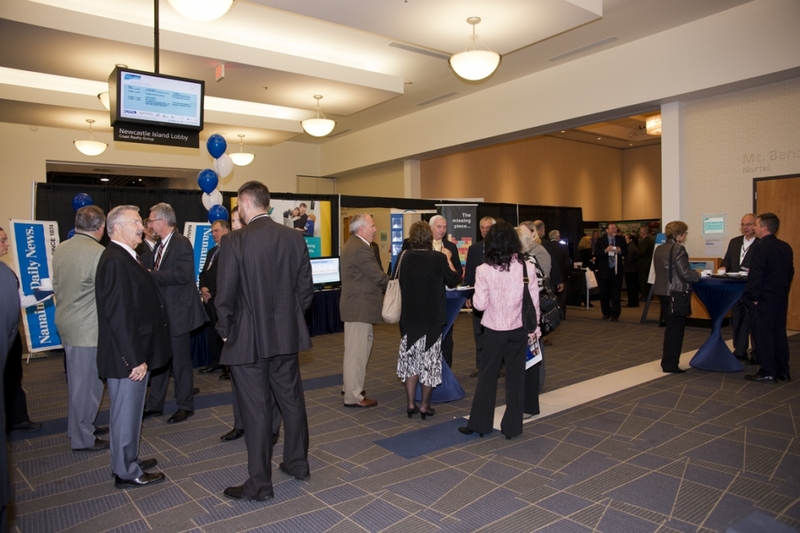 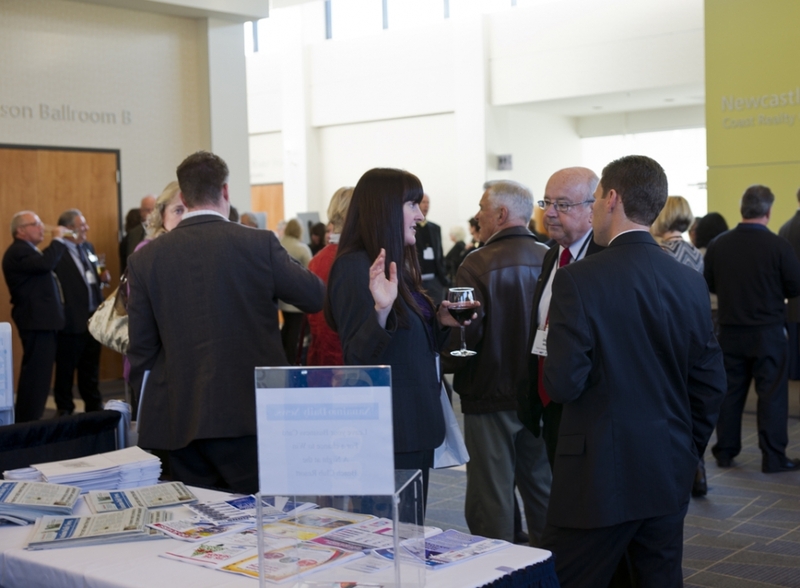 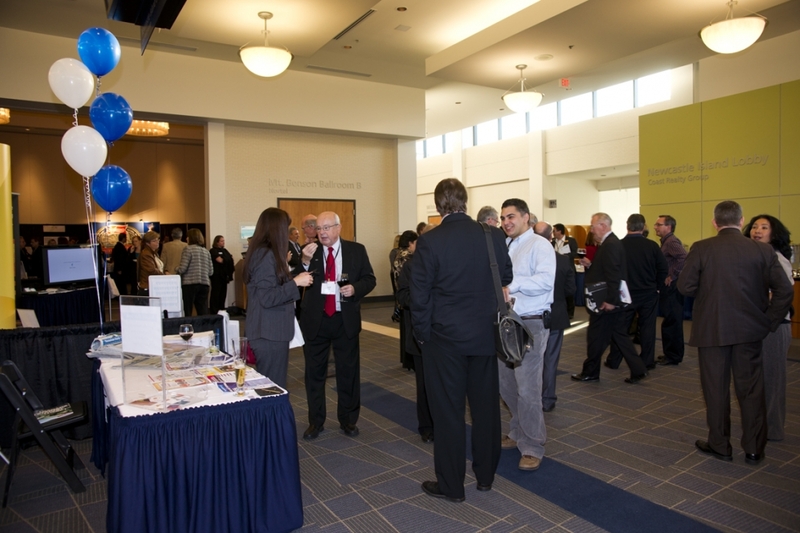 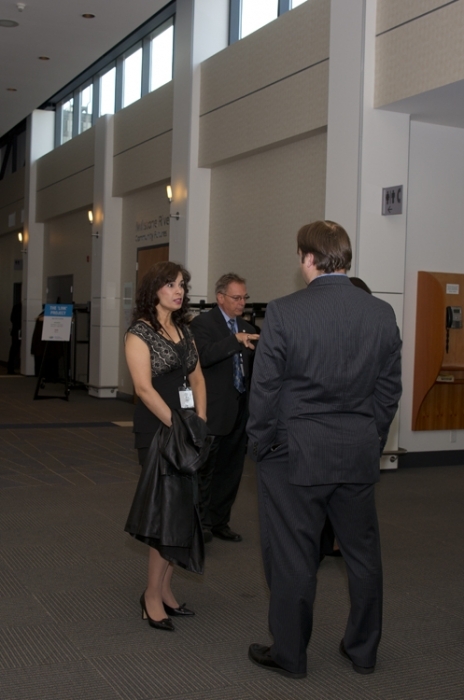 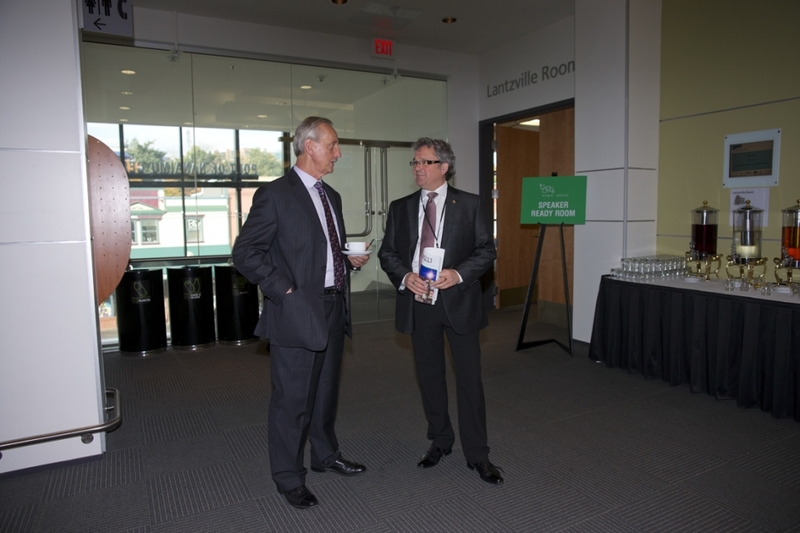 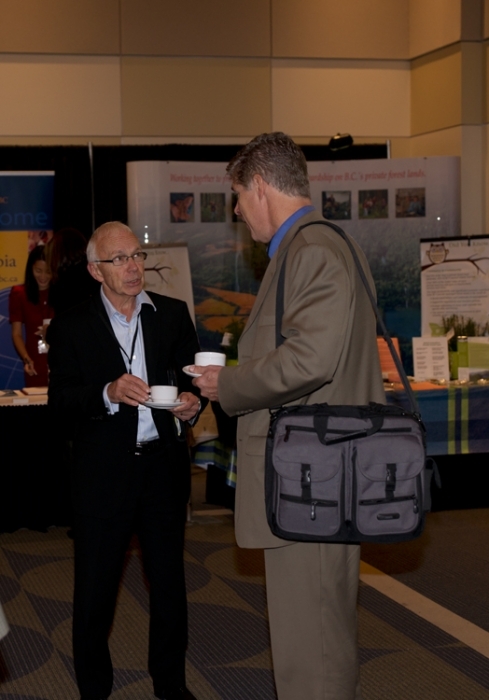 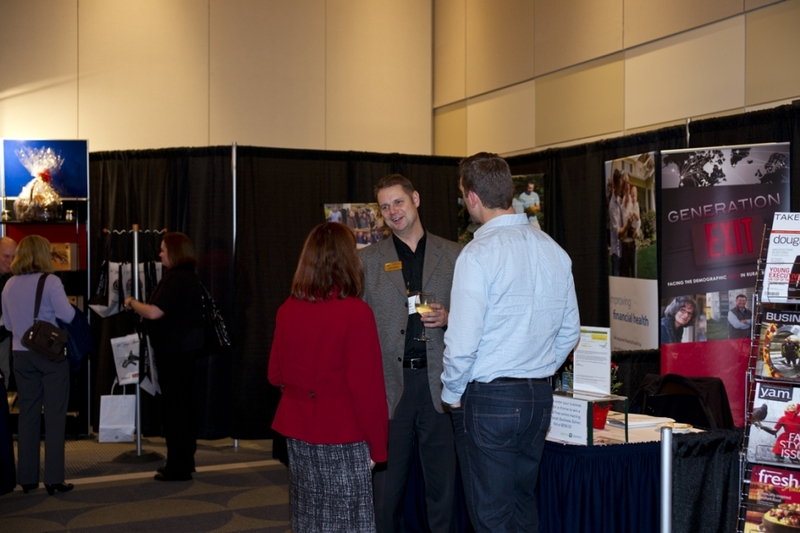 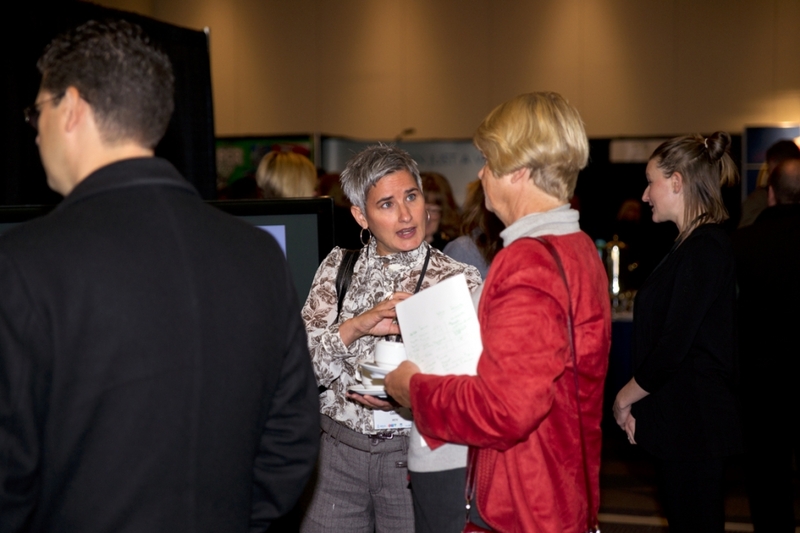 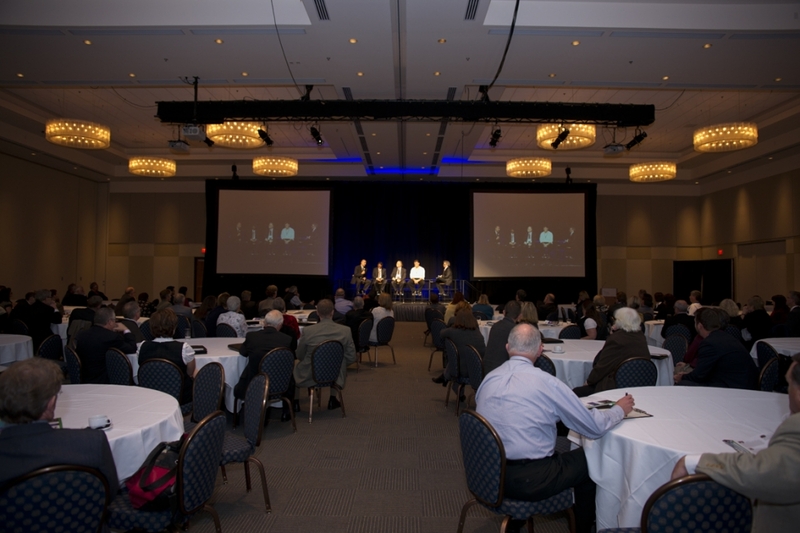 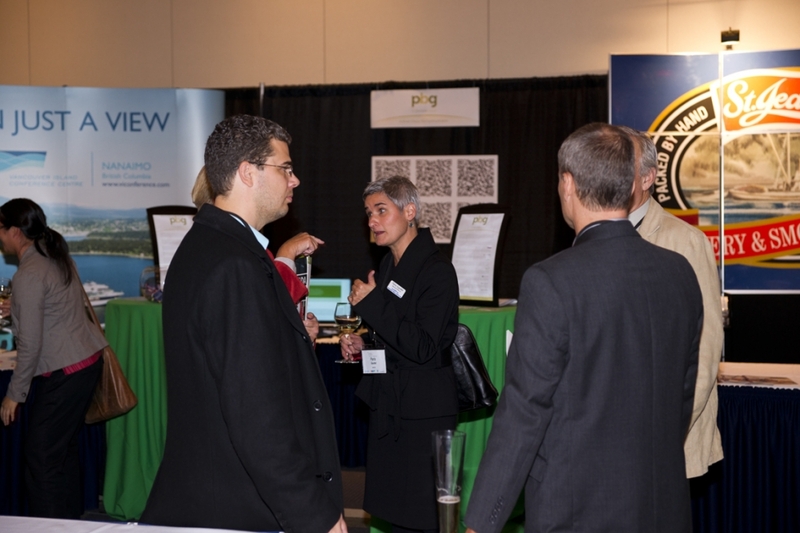 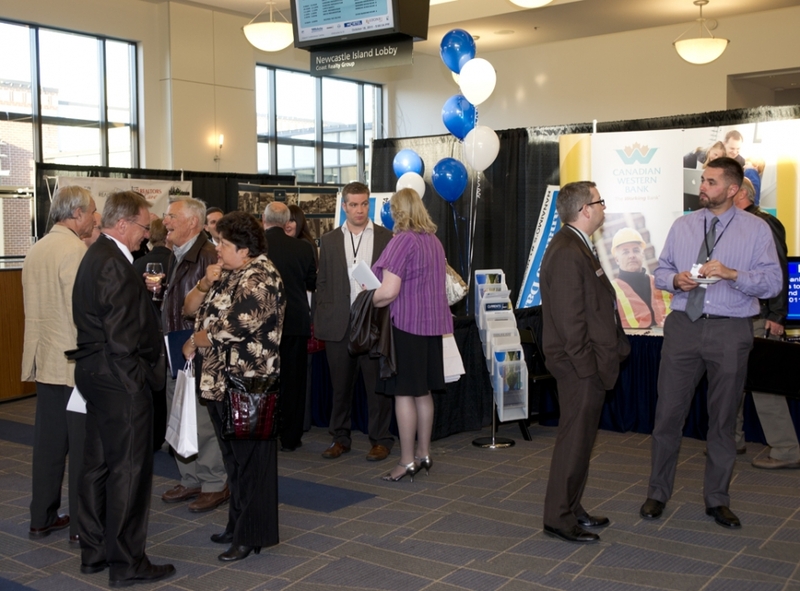 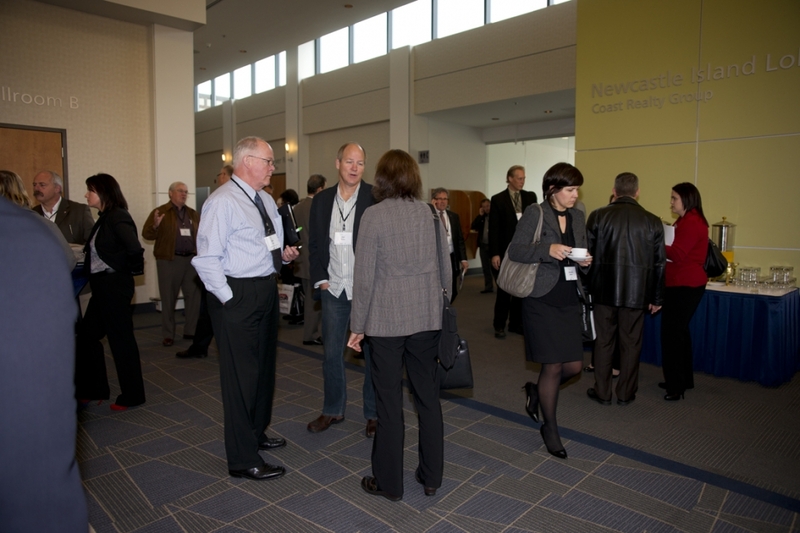 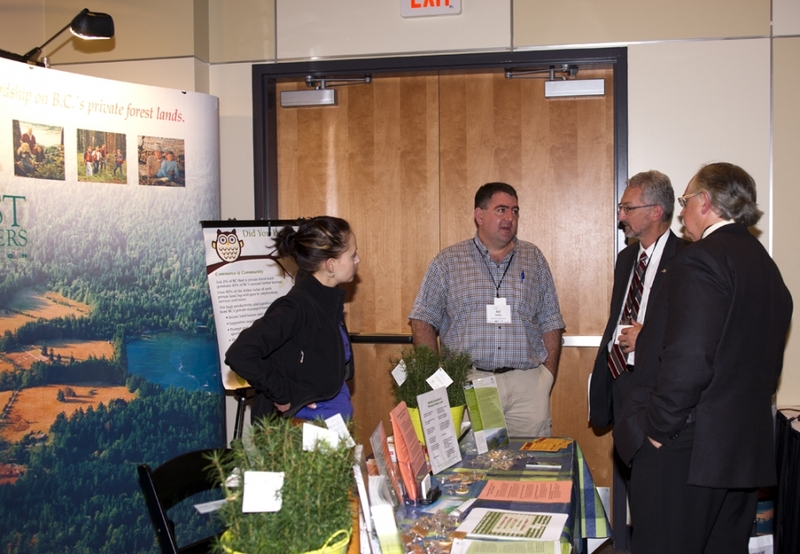 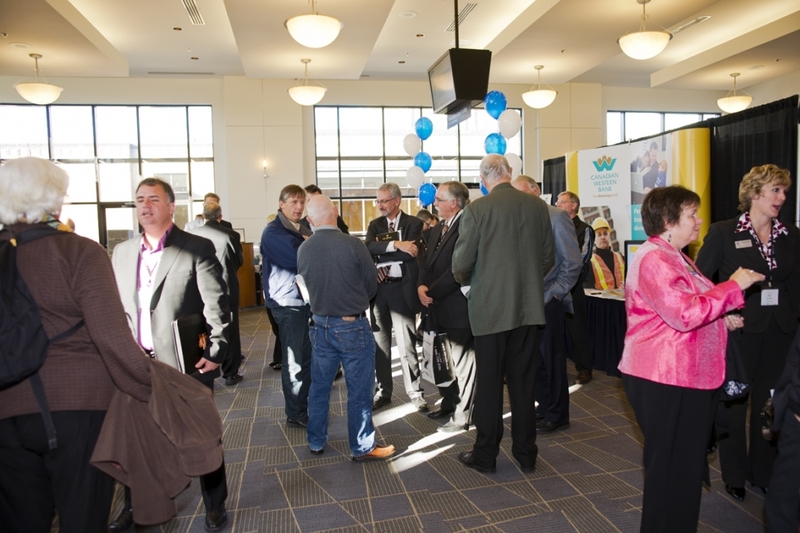 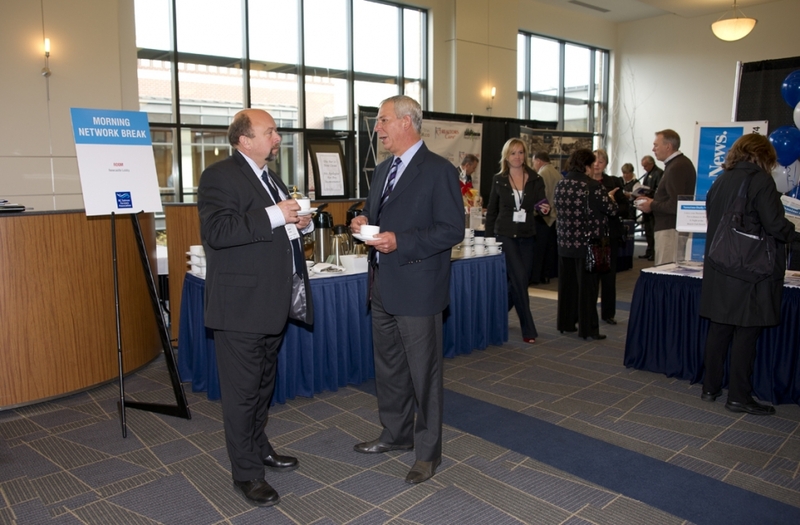 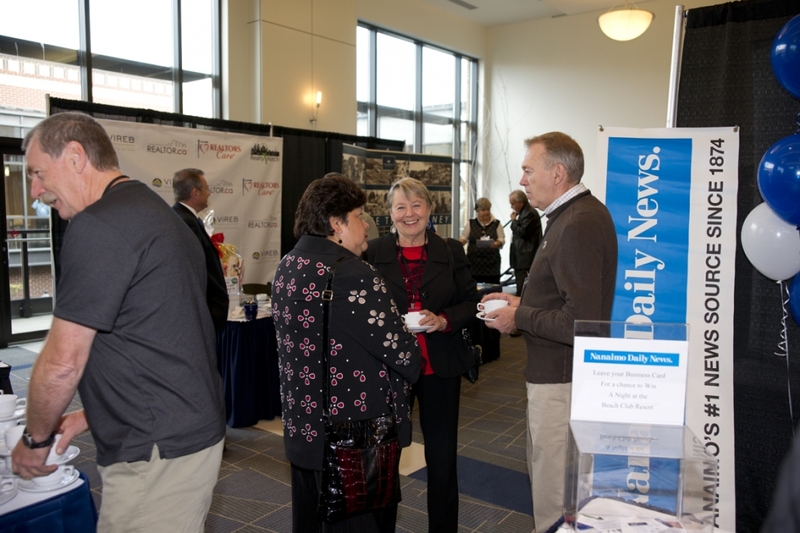 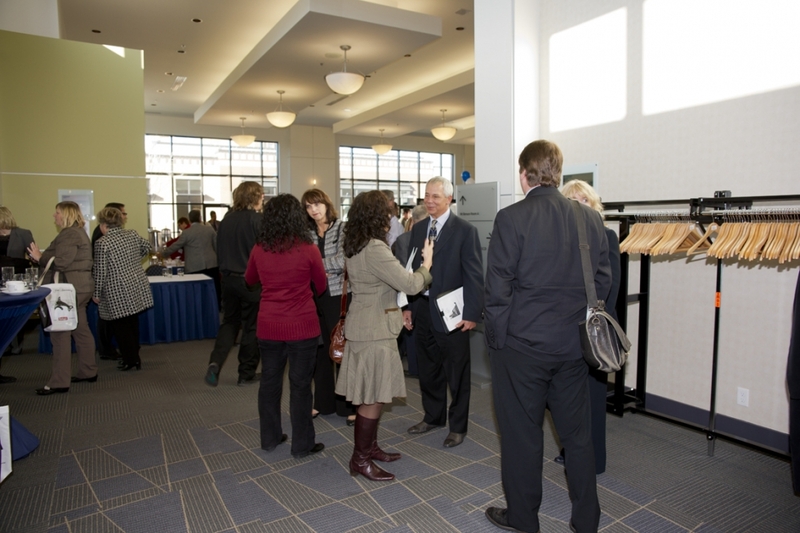 This video shows a glimpse at some of the activities during the 2013 State of the Island Economic Summit on October 29 & 30, 2013 in Nanaimo. 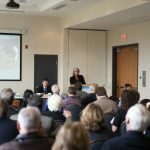 $15 Million to improve the safety on the Malahat. 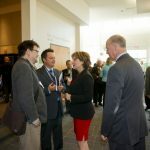 Today, Premier Christy Clark announced $15 million for further safety improvements to the Malahat, including an additional 2.3 kilometers of median barrier on the highway north of Shawnigan Lake Road.